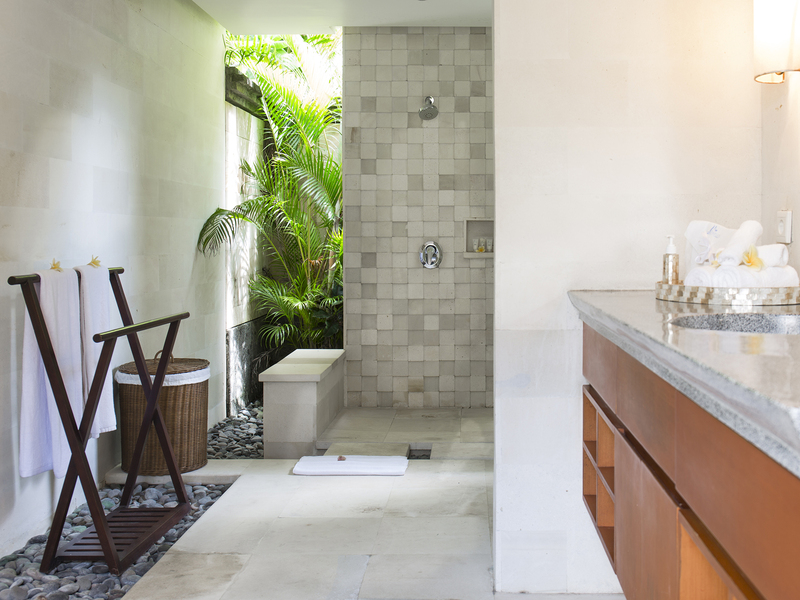 Relax and unwind in the luxury of our villas. Thank you for the amazing time, we loved making new memories. The staff were amazing and very friendly. Great experience, staff were excellent, went above and beyond. Would highly recommend, would not hesitate to return in the future. Thank you for the stunning accommodation, the comfortable bedrooms and most importantly the excellent service from all the staff. 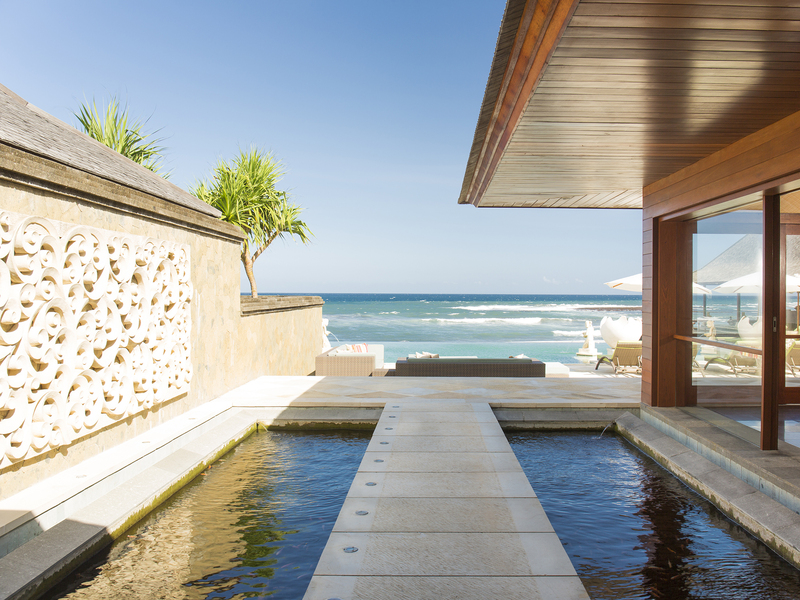 Words can't express our gratitude to the wonderful staff at bayu Gita Beach Front. We had the most amazing 9 days. They are proactive and miracle workers. Last but not least, thank you for opening your doors to us, sharing with us the Balinese way of life and enriching us with your cultural anecdote. Beautiful staff, I will miss you guys. Thank you to all the friendly, hard working, wonderful staff at Bayu Gita. A big thank you to all the staff that made our stay at Bayu Gita a pleasant one. 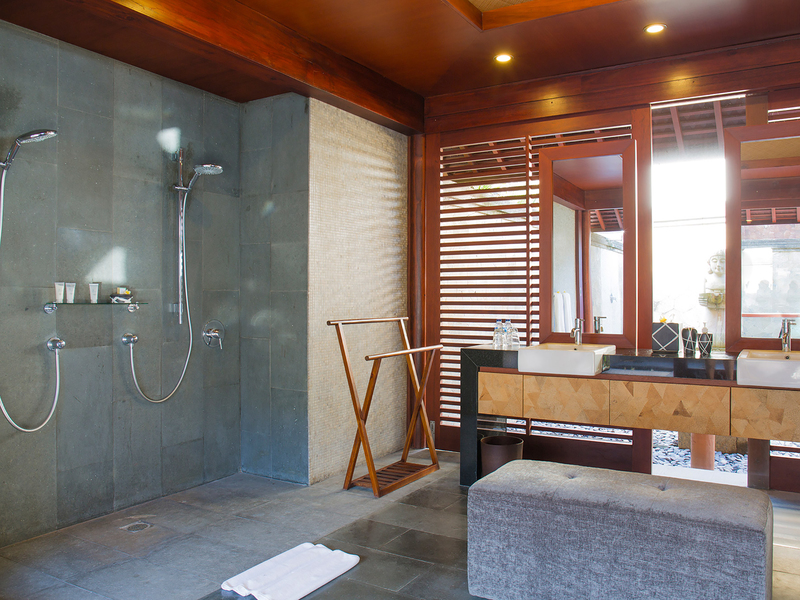 The villa is not only luxurious but also accommodating and comfortable. A big thank you to all the staff that made our stay at Bayu Gita a pleasant one. 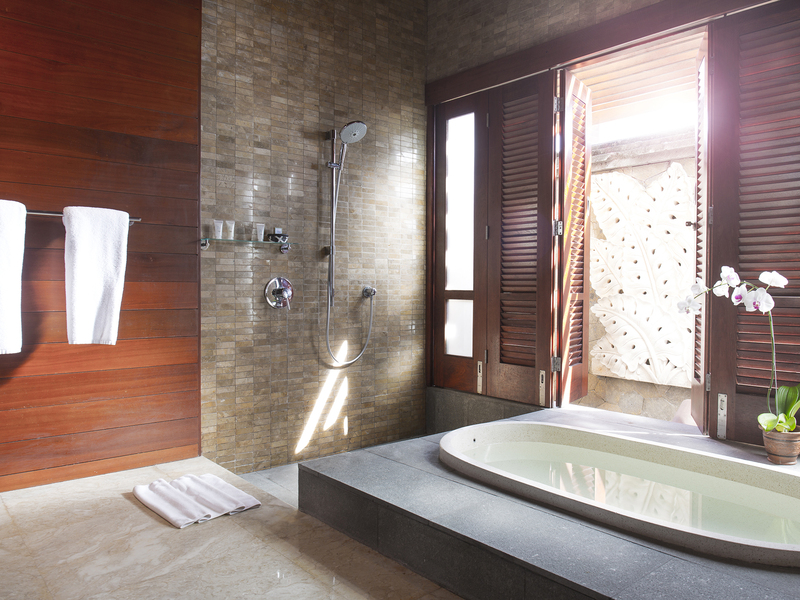 The villa is not only luxurious, but also accommodating and comfortable. Thank you for another wonderful stay at Bayu Gita. We have had such a great time. We will be back for the 3rd visit. 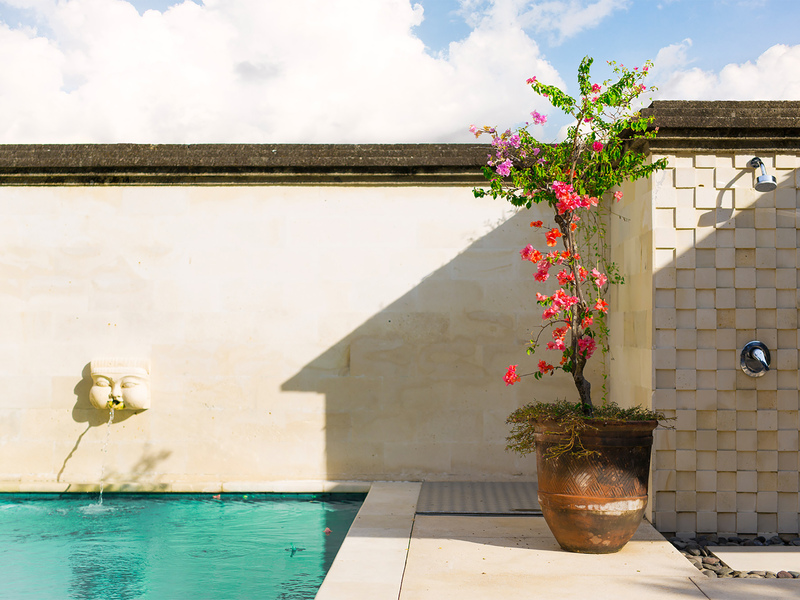 To all staff at Bayu Gita Residence, thank you so much for making our stay in Bali a wonderful and relaxing one. Everyone is friendly and helpful with anything. We felt at home and had a great time. We hope to be back soon. The gift of life, you have given me a part of your culture and your way of life. Don't change anything. To all the staff here at Villa Bayu Gita, thank you, thank you, thank you. You have all made our wedding week amazing. 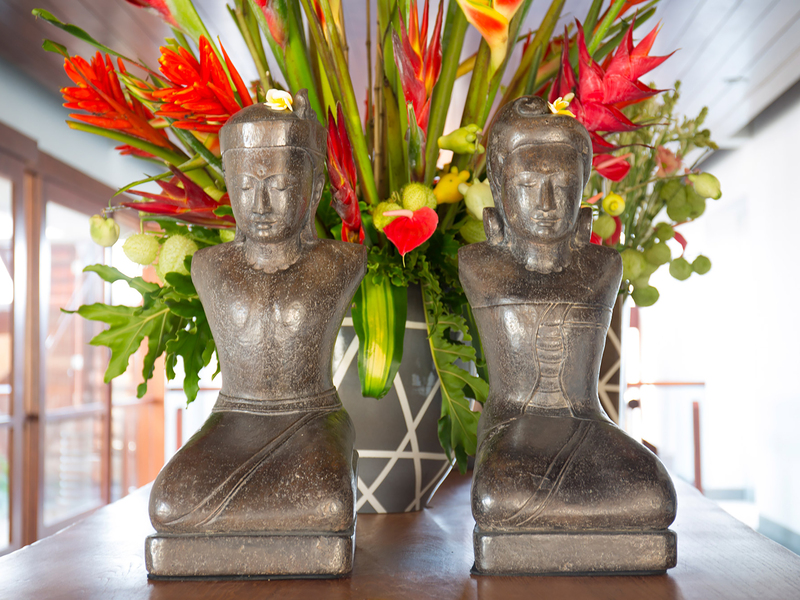 You have made us all feel at home, everyone was made welcome and the meals and service was out of this world. 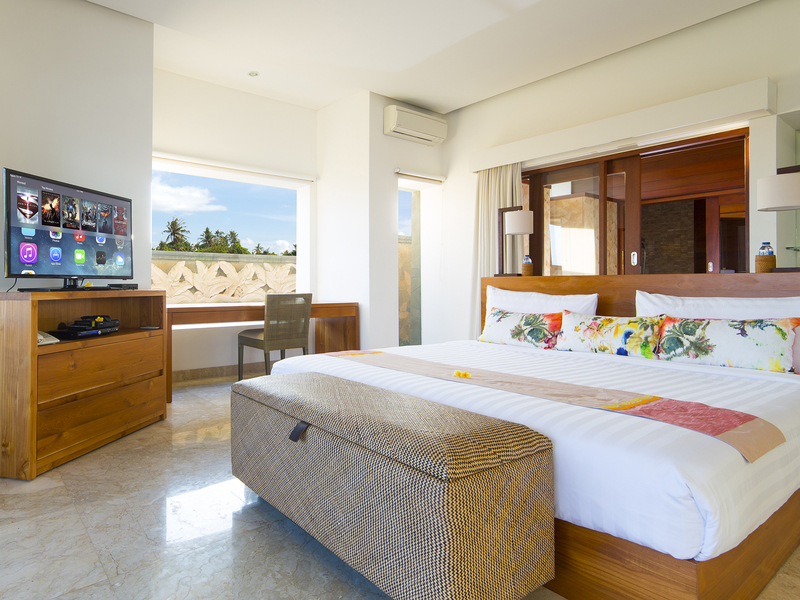 What truly fabulous stay we had here at Bayu Gita. Wonderful location, amazing food, sensational accommodation and accommodating staff. We have been truly delighted to stay at this wonderful villa. Treasured memories and consider it a real privilege to have stayed here. Service is very good, we really enjoyed and food is really delicious. Bayu Gita villa was the best villa I stayed in. The staff were so nice and the amenities were also amazing. Thank you so much for a wonderful stay in your villa. We had the most fantastic food and loved the margaritas too. We hope to be back soon. We couldn't even imagine how great this place is. We had wonderful 3 days here and we are very happy. We had wonderful days here. The service, staff and everything was so great. A beautiful holiday in this little sanctuary. Rooms are gorgeous, pool is perfect, we loved the privacy and quiet. The staff are helpful and attentive, we hope to come back. We have had a wonderful ten days with family exploring Bali and enjoying the luxury of Bayu Gita. The staff are friendly and very obliging. Highly Recommended . What a perfect location for a perfect couple to be married. We will never forget the wonderful experience here - the love and attention shown to us is exemplary. This is what a holiday should be. What a wonderful place to stay. This place is so tranquil, peace and quiet with privacy. We will return. We have really enjoyed our stay in this beautiful villa. The staff here were fantastic, we should try and do this trip as an annual event. Bayu Gita is amazing and the staff is just a wonderful. We will be back. First time come to Bali. Had very good memory in here, good service, good food, good rooms. We hope to come here again. Our stay was amazing, the villa and view of the ocean again amazing. The staff looked after all of us so very well, we can't thank you enough. We hope to return again. The staff were delightful. 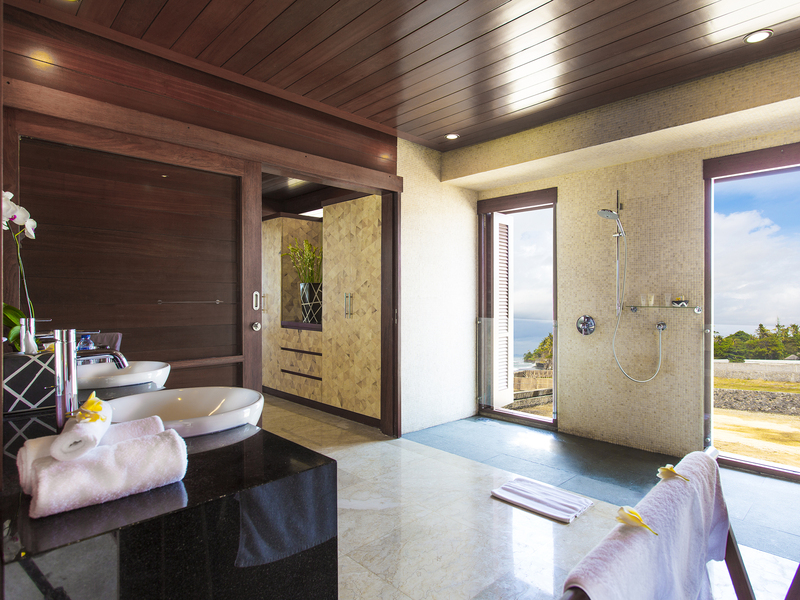 Not only is the view amazing, the villa has everything guests need. The perfect holiday. We very much enjoyed our time by the pool and just relaxing. See you again soon! Thank you everyone for your hospitality. We had a great time here. We had a awesome retreat, thanks to the wonderful service and kindness. All our needs were met promptly and happily. Looking forward to returning soon. An absolutely amazing place with brilliant staff. We will be back for sure again. Super amazing stay. I think it is a wonderful place, very fun here with family reunion. We had a great time and definitely would come back and stay here again. Thank you for your great hospitality. Pertama kali datang dengan kesan pertama yang fantastis dari villa ini. Kami sangat menikmati hari - hari kami disini dengan fasilitas yang ada dan service dari pekerja yang luar biasa ramah dan penuh senyum. Semoga kami bisa kembali kesini lain waktu dan menikmati hal lainnya yang akan berkesan. Thanks to all the villa workers. First, we wanna say something to the chef, he really cooked nice dishes for us, we loved his food so much. Second, to all the staff of the villa, they gave professional service. I’m having challenges coming up with the words to express my gratitude for the amazing experience the staff provided. I had my 50th birthday party at the villa. The staff work way above and beyond my expectations. The villa is amazingly, however the staff really made our experience. Much love. A fabulous stay with the extended family. The food was great, bintangs cold, pool a great retreat. Thank you to all the staff. We have truly lovely experience. Thank you for a wonderful 4 days. A beautiful location and fantastic staff who couldn't do enough for us. Magical memories to take back to Perth with us. We will be back. What a brilliant stay we've had. Made, Gede and Wayan lead an amazing staff who seamlessly observe and act on every need. All of them quickly learnt all 22 names and drink preferences. Nothing was ever too much trouble. Aris was also particularly helpful, and driver Gede very patient and kind. Well done Bayu Gita team, we appreciate your dedication. Huge compliments to Chef Budi and his team - fantastic food. Lovely, lovely staff. Awesome accommodation. Thank you. What an amazing stay here at Bayu Gita. We are very sad to leave this beautiful oasis. We had our wedding here as well and it was unforgettable. The staff was top world class – very friendly, always helpful. Thank you very much for making our stay so memorable. We will be back for another holiday at Bayu Gita. Perfect location for our mastermind retreat. Thank you so much for everything. Such a wonderful time. Thanks for the wonderful villa, Ini akan menjadi cerita yang tidak terlupakan. Terima kasih atas pemandangan yang indah disini serta keramahan orang yang bekerja disini. Semoga kita berjumpa lagi dilain kesempatan. Most beautiful place I have ever stayed. Your hospitality is unmatched and I feel like we are all family. I had an amazing time. The staff was more than accommodating - we want for nothing. Everyone was so friendly. What a fabulous holiday. We have all had a wonderful time, thank you to all the staff for making our stay so special. The kids have had so much fun playing in the pool and exploring the rock pools. The big kids had a wild time too. 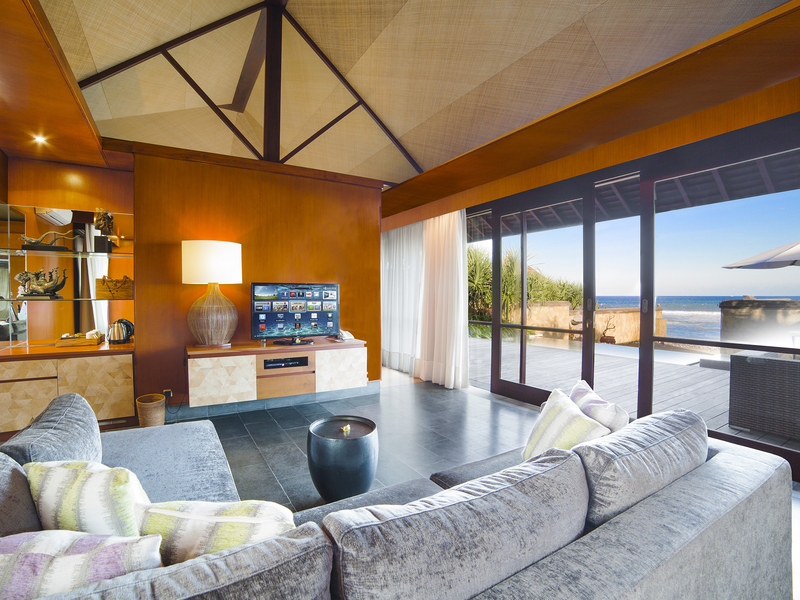 This villa really rocked our world. To all the staff who made our stay so special... Thank you! 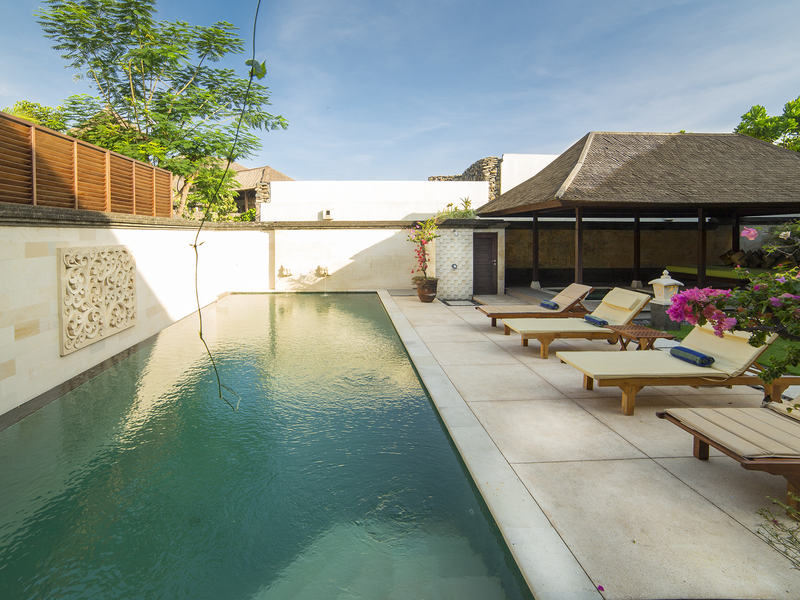 Villa Bayu Gita was an unforgettable experience - beautiful surroundings and the best service we have ever experienced in a villa holiday. Thanks and see you again soon from your new friends. Good villa with nice view and a pleasant place to travel with friends. We booked through Chinese Airbnb and its a nice try and memorable experience. Good Job. To all the wonderful, warm, and gorgeous staff, you have made our family celebration of Grant's 50th birthday memorable. There are the times you remember in your life and none of us will forget our stay at Bayu Gita. We hope to meet you again one day. Thank you for a wonderful visit. 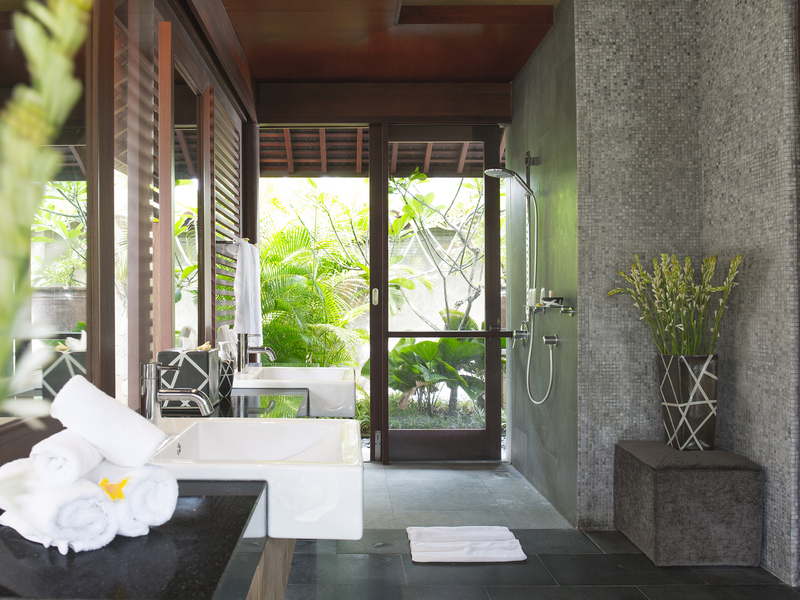 Beautiful villa residence, very accommodating staff, we greatly enjoyed the stay. We stayed here for our wedding with our family and had amazing time here in Bayu Gita. Thank you for all staff of Bayu Gita, you guys are so helpful, wonderful for all time. We live in Jakarta, and our family gathered all together in this villa for this wedding. This will be definitely best memory in our life. We came from the U.S. to celebrate a 50th Birthday. We had 15 people and had an exceptional experience. The villas are amazing! The open air rooms were unusual to our lifestyle. The service was unbelievable!! Wayan is excellent, he has a great personality and is a wonderful tour guide. Aris was great staff. Gede is fantastic.Budi is an exceptional chef. Our meals were delicious and full of local flavor. Made is an excellent manager and has a great team, so attentive, and he is enthusiastic. Bali is beautiful and i am thrilled that i came and met these gracious kind people. Ayun is also wonderful and her daughter danced for us. BEAUTIFUL. Thank you so much for making our family holiday so special and relaxing even with 8 kids. We have had a fantastic time. All staff have been fabulous, and Joel is well on his way to speaking fluent Indonesian haha. Budi made the most amazing meals and catered so well to the needs of all the kids. We would love to come back again. Thank you. It was a good week with incredible views and good company. Thank you all from Portugal. Thank you so much for the most amazing stay. The staff were all wonderful and we have had such a relaxing stay and of course the food was delicious. Wonderful stay, thank you so much to all the staff for making our time here seamless and relaxing. Everything was well taken care of. All the meals were lovely as well. Make sure to ask for Ramen. Thanks again to everyone at Bayu Gita. We came with our two young kids and three grandparents. It was a very relaxing environment. Every time we looked at the ocean, the stress would melt away. There are lots of public areas where the whole family can congregate together. The staff is great. They took good care of us and catered well to our four years old and six month old. 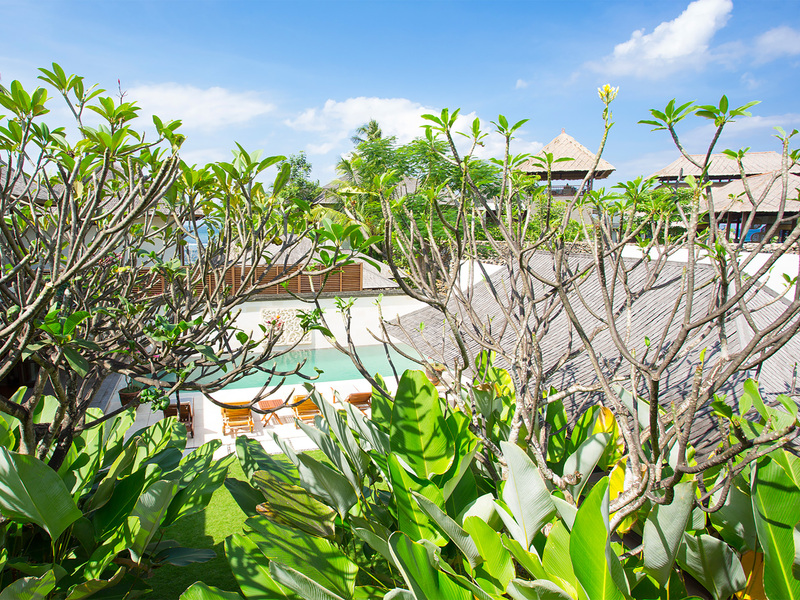 We have stayed at many areas in Bali this is the first time we are in Ketewel - Sanur and we really like it here. We will be back for more family vacations. Thank you Villa Bayu Gita for a wonderful holiday. We've had a great time. The kids loved the "Mansion" especially the pool and media room. Lovely and attentive staff. Loved the pork ribs. Chef Budi was very accommodating to ones needs and receptive. Villa Bayu Gita thank you. Fantastic, wonderful staff - no request was a problem at all. The staff and Chef made staying at the very easy. Their kindness, patience and understanding is the best one could ever hope for. The surprise birthday party was exceptional with all the work put into decorating the villa. 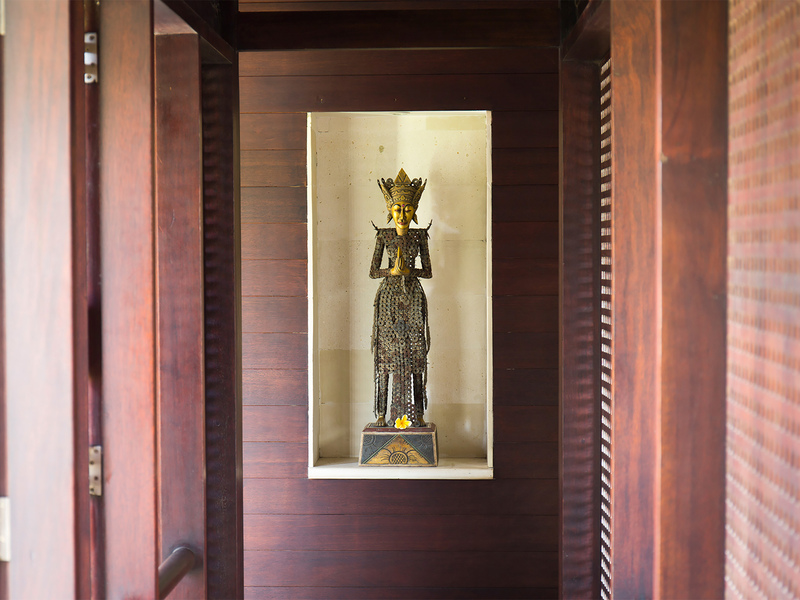 I would recommend Bayu Gita to everyone wanting to holiday in Bali. Thank you for sharing your fabulous home. The staff was amazing, the service and their smiling faces made our visit more special. We hope to return to Indonesia and continue our loving journey with the gentle people of your country. Sincere appreciation for your hospitality. Staff sangat ramah dan membantu, anak - anak sangat senang dan ingin kembali lagi, kami sangat menikmati suasana yang private dan tenang, tempatnya sejuk dan makanannya enak. Everything went perfect. The villa and view so gorgeous. I will come back. It’s always a great pleasure to come back here, just like our home. Everybody here are our family. 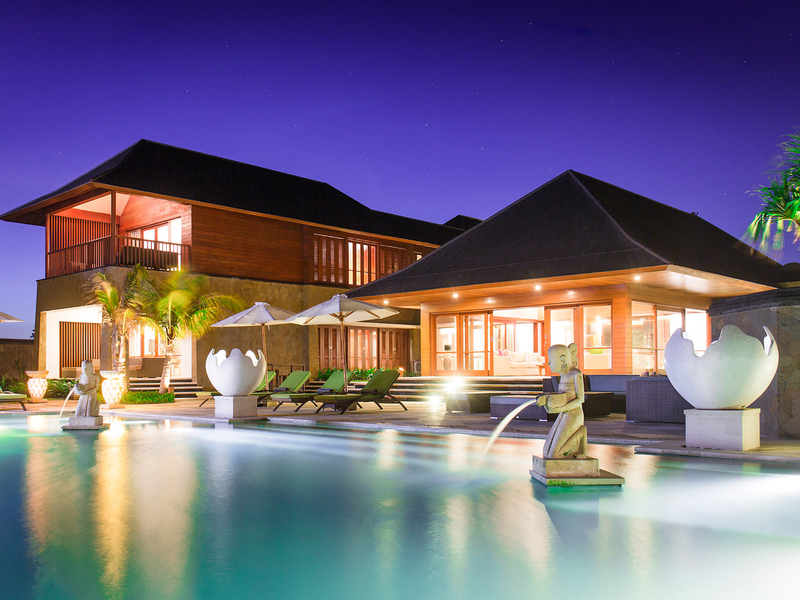 Couldn’t ask for better villa here in Bali. You guys are the best. See you all again and again and again... GOD bless you all. Thank you to the all staffs for the effort all of you put into fulfill my family needs and satisfaction. Great job. We stayed at Bayu Gita Villa for our wedding party. All staff, food and views are amazing. We never forget our stay. Wedding party was really awesome and happiness. But, in other days, staff hospitality are really touching. Wayan, thank you for everything, thank you for holding my cousin's baby. Ayun, thank you for your surprise. All of my family felt like heaven in this place. We will come back in future for sure. We held a wedding ceremony in Bayu Gita Beach Front. So 35 guests stay in Bayu Gita, Residence, and Pushpapuri. It was such a lovely and perfect time to be here. Every staffs are so nice and helpful, and the places are fabulous. Thank you so much for your great care. Wow! What a fantastic and unforgettable few days. We held our wedding here and had the most amazing experience. The memories will stay with us forever. I want to say a huge thank you to all the staff here at Bayu Gita. The service has been incredible, with warm and friendly conversation and constant smiles. 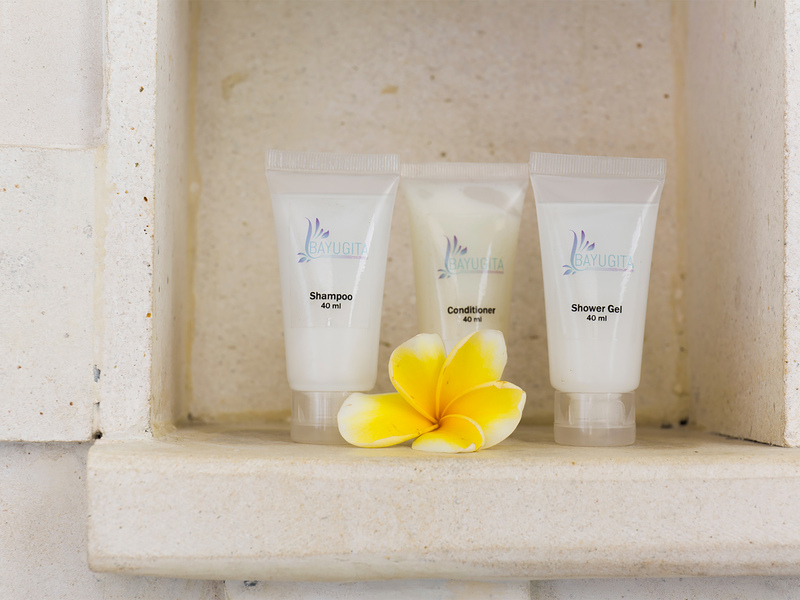 Our every need has been looked after while we stayed here in perfect paradise. Thank you for everything and for making our wedding so unforgettable. We will be back for sure. 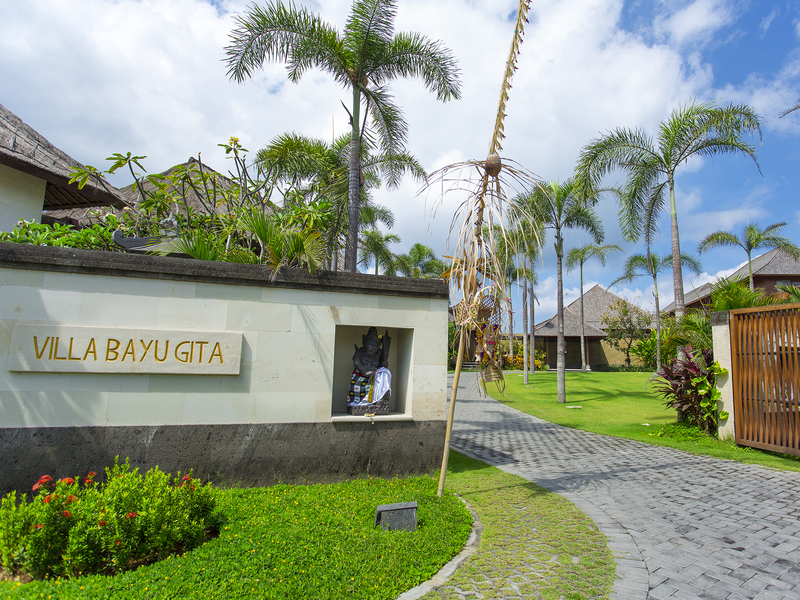 We had a fantastic time staying at Bayu Gita. The views are amazing, the rooms are comfortable. Thank you to all the friendly staff. They are so polite and obliging. We would love to return one day. Thank you all for an amazing holiday. The villa was amazing with a lovely view. Everyone was really friendly and our party had a great time lounging by the pool and soaking up the sun. Thanks for making our stay so relaxing and enjoyable. Fantastic service, excellent staff, wonderful food and superb accommodation. We will be back!! Special thanks to Ayun, Arta, Wayan, Gede and Budi. Such a lovely place....paradise really!! The staff were phenomenal addressing each one of us by name. Starting the first morning was a very nice personal touch. Theytried so hard to please us. Thank you so much, we love it! Thank you for the attentive service. Great villa. Enjoyed the spectacular waves. Children loved the pool. Thank you! What a wonderful experience at Villa Bayu Gita. A heartfelt thank you to the wonderful staff. Everyone was very welcoming and helpful, there was nothing that was too big of an ask. Ayun, Arta and Wayan made our stay unforgettable. Thank you, Thank you, Thank you! Wayan, Budi, Ayun, Arta and all the staff. A little piece of heaven. 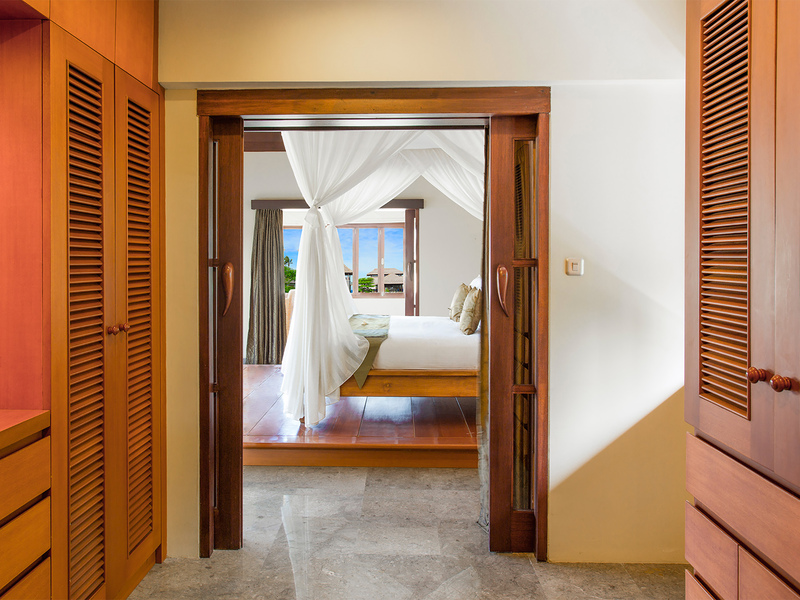 Villa Bayu Gita is the most amazing, wonderful, peaceful place but incredible staff make it stand out above the rest. What wonderful people you are. We just had to mention an idea and it would materialize from fishing rods to football on the big screen. I can't begin to describe how unbelievable the food was. Our chef was world class. Outstanding flavour and the effort and love put into each meal was beyond words. Gede our driver was full of knowledge and took us to amazing spots. 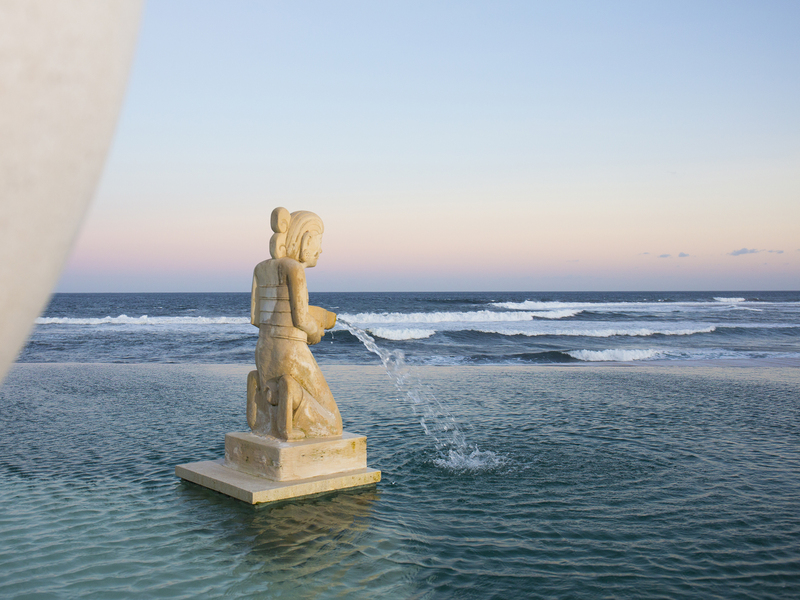 To end our days the spa ladies treated us to the sound of crashing waves. I'm here in Bali this time for my beautiful friend’s wedding. It has such a wonderful wedding, and everyone had lots of great memory created by the lovely staff and services from the villa. I'm here in Bali this time for my beautiful friend Linda's wedding. 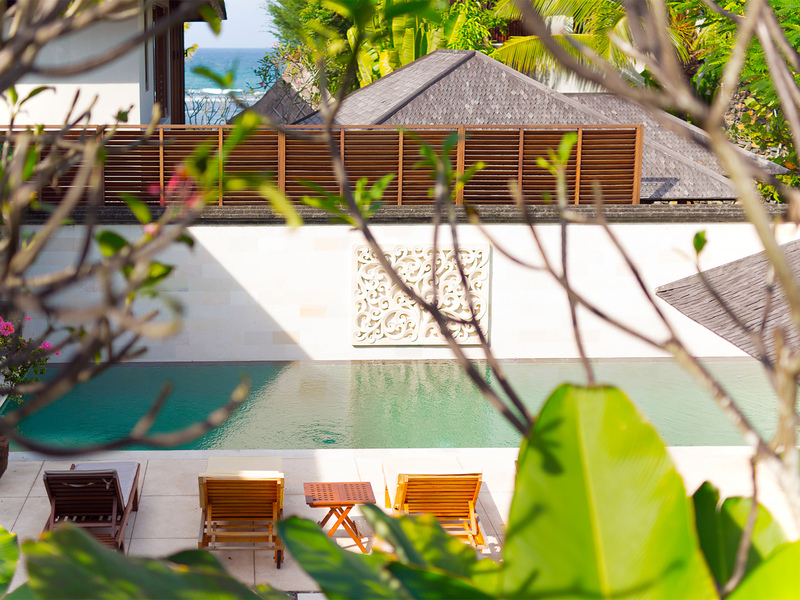 The first moment I entered the villa, I felt extremely peaceful, energized and refreshed with the environment, especially with the setting of the pool and the sea in front of the villa. It was such a wonderful wedding, and everyone had lots of great memories created by the lovely staff and services from the villa. Ayun and the staff have been amazing. Nothing was to too much trouble. Everything was perfect, food amazing and the accommodation was excellent. Thank you so much. It has been a wonderful stay at Bayu Gita. We love this place and it is absolutely wonderful and great place for families to come together. The service has been wonderful, all thanks to Artana, Budi, Suryanti and Made who have been very very hospitable and helpful, and also to all the wonderful team who have made our stay so enjoyable. Our wedding became come true, thanks to all Bayu Gita staff. They really helpful in every moment of our wedding. The location is perfect, great view inside the villa. Hope we can come back for our next holiday with family and friends. Thank you very much for all help, our wedding couldn't more beautiful and spectacular without your excellent services. Best wishes for all Bayu Gita staff and management. This place is absolutely amazing, and the staff is impeccable as it the food. I hope, I can come back here again. This place and vacation has been a dream come true. Terima kasih. Villa bagus sekali. Makanan enak sekali. Pegawai baik - baik. Kolam renang indah sekali. Sempurna!! We've had a wonderful time here at Bayu Gita. The staff were lovely and always accommodating. Recommend the pork ribs, they were amazing. The waves were a little unsettling at night but once you get used to them, it's fine. Loved our stay. Thank you. The most amazing vacation ever. Thank you to the entire staff at Bayu Gita for making our holiday awesome. The villa is so beautiful, words can't express it's beauty. The food was great. Bayu Gita is by far the best property that I have stayed in my life. I have traveled to 40 Countries and this is the best. The staff and chef are top notch. I can't express enough how beautiful and amazing my entire experience at Bayu Gita has been. Thank you. We all had a relaxing and most enjoyable holiday. To all the staff at Bayu Gita: you all made this quite special and big thanks to you all. We all commented on how happy and friendly you all are. 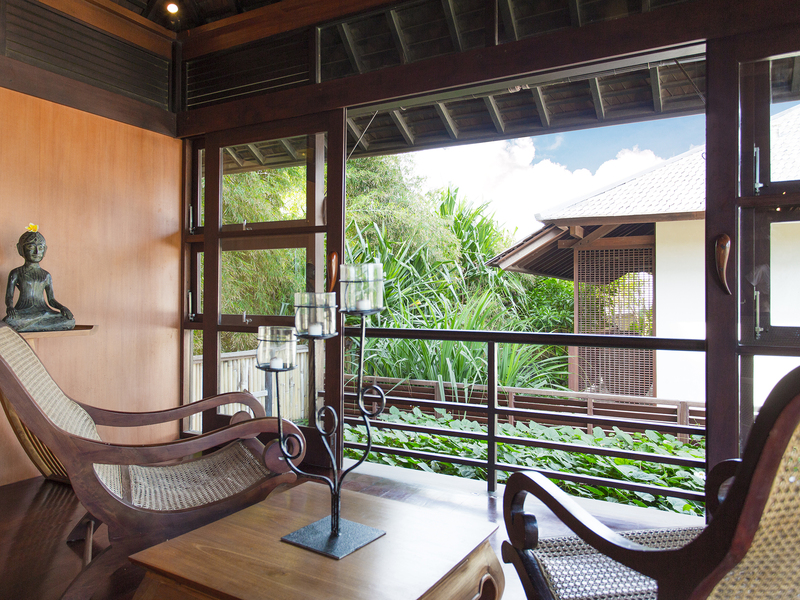 The villa is very spacious with both private and commercial area with wonderful views. To stay in Bayu Gita Villa and celebrate a birthday, was my dream! But even in my best and nicest dreams I couldn't imagine that it can be so perfect. Thank you Bayu Gita team. Thank you for your big hearts, excellent service and for making us happy everyday. We’re really enjoy to stay here. Nice place and wonderful service. Thank you so much. Really thank you to all Bayu Gita staff having a lot of hospitality. It was the one of precious moment in my life to have wedding party at the villa. Especially thanks to Ayun (and her little girl shown traditional Bali dance), Gede (car driver), and Arta. Hopefully we will come back. 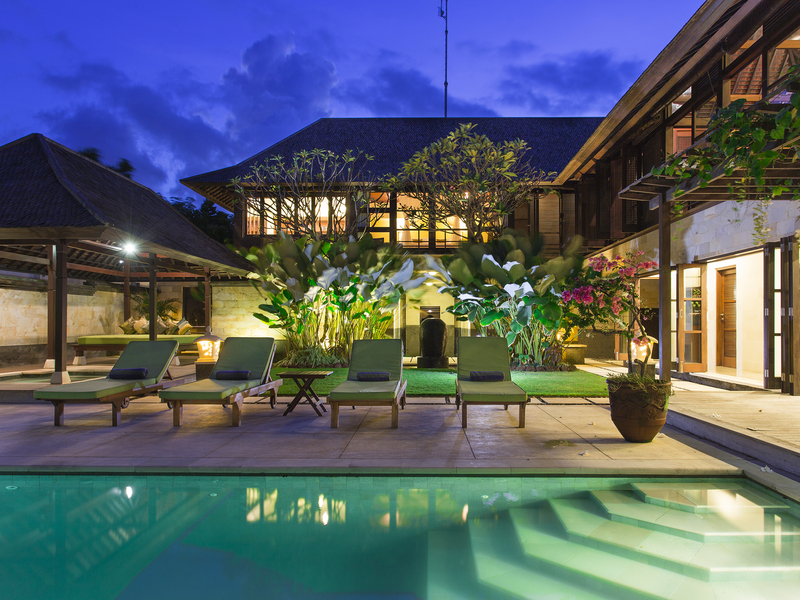 Thanks to the excellent team at Villa Bayu Gita. We have had an excellent stay here. Your level of service and kitchen notes extremely well. Well done around the excellent ambience you create here. A special thanks to Wayan, you are the best. The kids have appreciated your kindness. Amazing villa and fantastic staff, all very helpful and friendly. Very special venue for the most beautiful wedding. A truly cultural experience from an English woman’s perspective. Thank you all very much for looking after us. 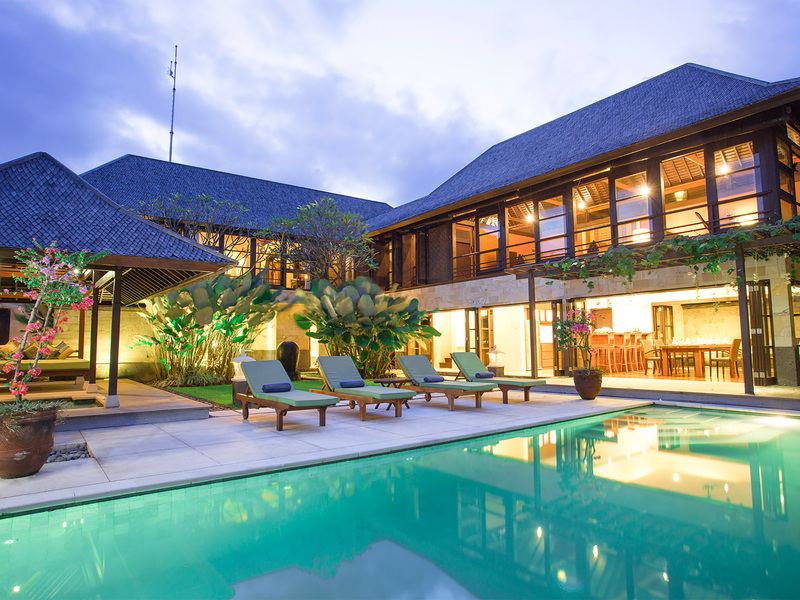 We have so happy to visit Bayu Gita, because our family can get together in this Villa. we had a great time. Swimming pool, Sea and other facilities were very good. 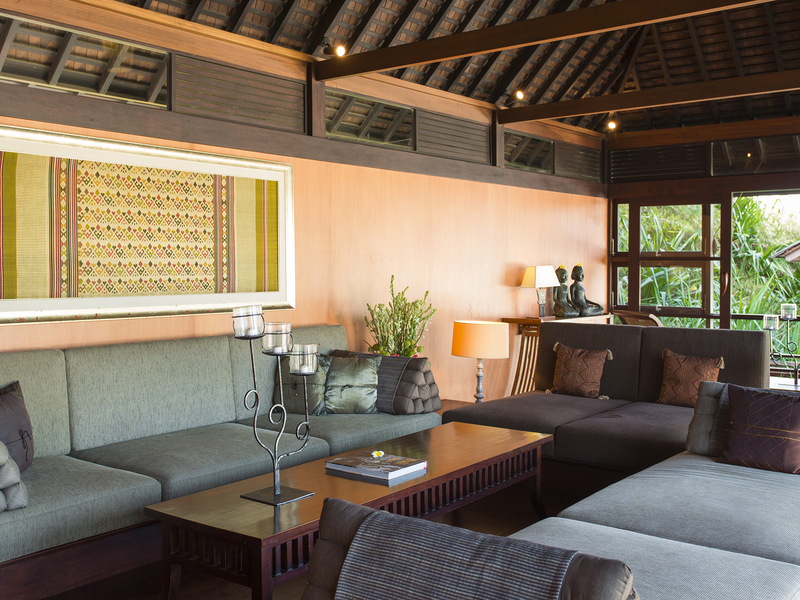 Our stay at the Villa Bayu Gita has been an unforgetable experience. The place is beautiful, the service is extraordinary, and the food is exquisite. The staff did more than I asked for, to celebrate my Mom’s birthday. The entire experience was incredible. Thank you everyone at the Villa Bayu Gita. We have a wonderful time at this residence. The server are very polite and warm, welcoming that make me feel like a king. The Chef here is so wonderful. The food he prepare is beyond my expectation. They ever make a surprise party for my wife. 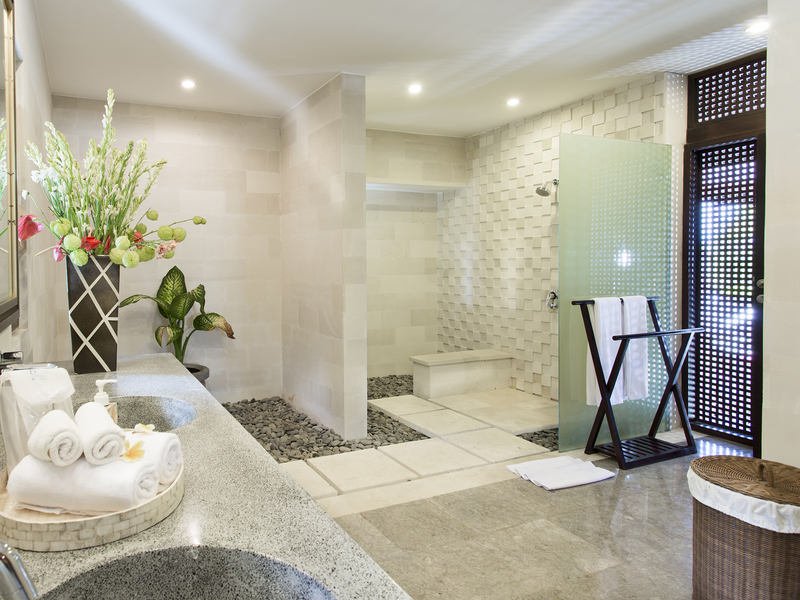 The atmosphere in this residence is so peaceful and relaxing. Thanks to all the server for their incredible service that make my holiday unforgettable. We have a wonderful time at this Residence. The server are very polite and warm welcoming that make me feel like a king. The chef here is so wonderful, the food he prepare is beyond my expectation. They even make a surprise birthday party for my wife. Thank to all server for this incredible service. Really good! We love here! Thank you for you guys, really nice and kind. We want to back again. Beautiful people and amazing views. This is a very beautiful Villa. All the staff here very kind and helpful. We have a happy week to stay here. This is a good place to enjoy our holidays. The professional staff and beautifully villa was an oasis. 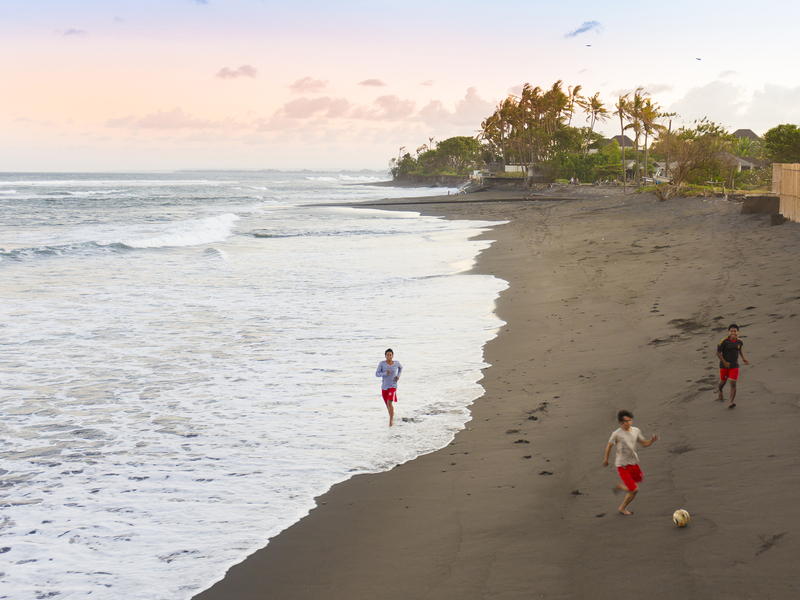 With our children and other friends staying at the villa - we experience the excitement of the ocean and sunrises as a big group. 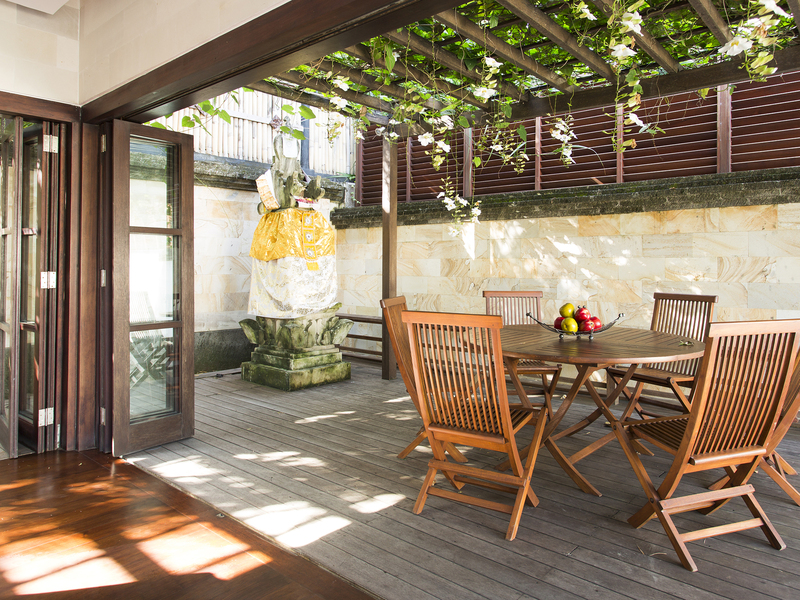 It was lovely to return back to the residence with the inviting outdoor space. The people who work here are patient and attentive. Every wish for "Enjoy your day" reminded me how important a good attitude and gracious thought really can influence my day. Our vacation here was outstanding and grateful for the exceptional hospitality. Thank you for giving us such a wonderful 5-days vacation. We feel like we've been treated as king and queens for a week in this palace-like villa. I've not had this super relaxed schedule sleeping up to nine hours a night with an extra three hours of nap each day. 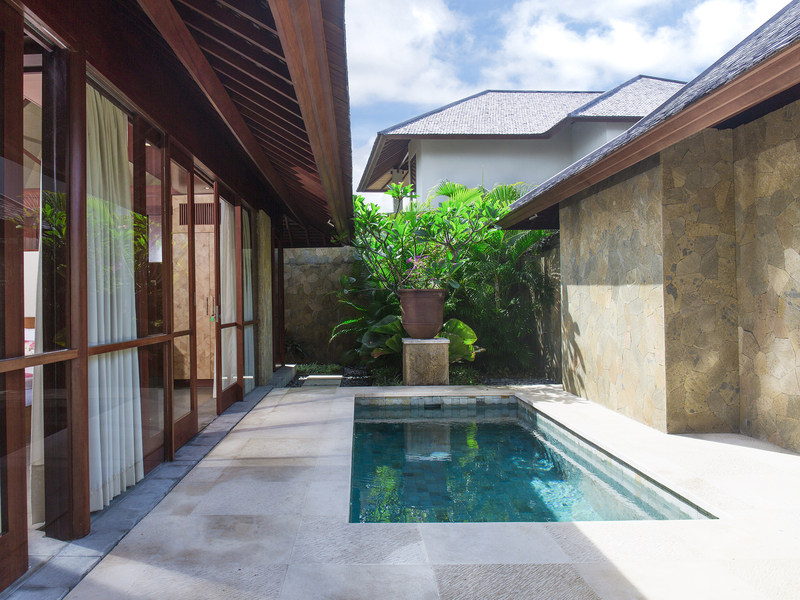 And it is because of the peaceful atmosphere that this villa gives me, that I get to spend time with my family in the ways that I don't always have. Thank you all again for the incredible service, and thank you for giving us such an unforgettably awesome vacation. Thank you so much for a wonderful stay at Bayu Gita. From the moment we arrived - we had lovely friends for a week. The staff were amazing, so polite and so willing to do every thing for you. Each morning you were greeted with a smile and laugh. 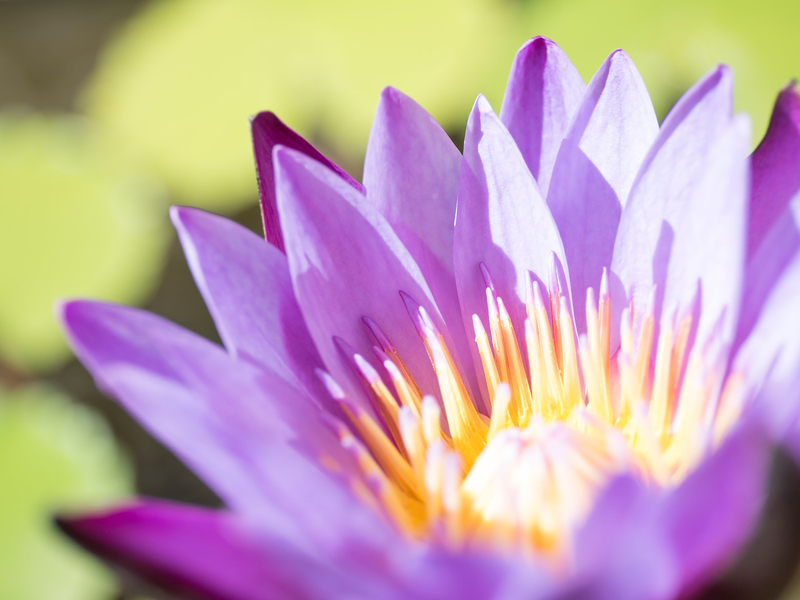 You have given us so many happy memories of Bali. Our children also can't wait until our next visit. The highlight of the week was the lovely candlelit BBQ - what a fantastic chef. Even our names spell out in flowers on the grass and the beautiful little dancer. What an amazing stay! If went by so fast because of the special, beautiful, kind, loving staff, I wish we could bring you all home with us (Ayun, Aris, Gede, Wayan). Thank you to all so very much. We are sad to go. And thank you to the chef Budi for accommodating all the needs of the boys and all of us. The food was delicious especially the Lava cake, Pumpkin cake and Oreo shakes for the boys. Thank you for a great time. Beautiful place and wonderful staff. Lots of memories for our 50th anniversary. We were so happy to live in this villa with all the staff. It was the unforgettable wedding party. We have a wonderful time, The villa is amazing and all the staff very friendly and helpful. Thank you for making our stay so enjoyable. We have been for 2 weeks at your villa. We have never had such a nice vacation as we had in Bali with all you guys. We have learned such many things about your culture and we like that a lot. We really like to come back to met all of you guys again. Lots of love for all the people who have made our vacation so special. Thank you so much for making our wedding day such an incredible and unforgettable experience. All the staff were amazing and we will miss you all very much. The service and hospitality is the best I have ever experienced and you all can be proud of your beautiful villa in this slice of heaven. We will be back every anniversary because it holds such a special place in our hearts. Thank you for 3 days. We could spend on so good time and have a great wedding. We want to come back here soon. Thank you so much. I love Bali and Bayu Gita. 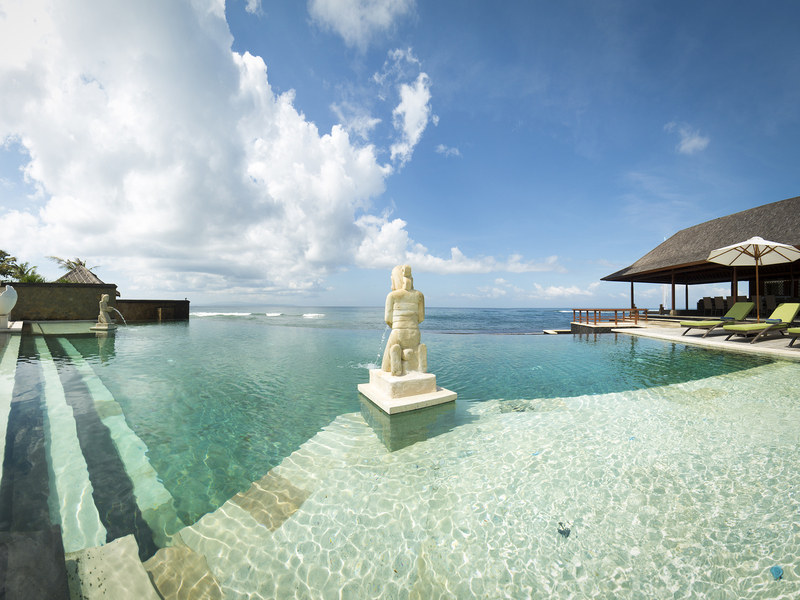 I have been to Bali many times and stayed in same great hotel and villas, but Bayu Gita is by far the best of them all. The villa is beautiful but the amazing staff were the highlight of my stay. Nothing was too difficult for them. Thank you very much for the fantastic stay. I hope to be back again very soon. Thank you Bayu Gita for the beautiful stay. The location is superb but it was the attention of the staff that made our holiday so special. Thank you for the best holiday. All the staff are amazing. Would recommend seeing the sunrise at Mount Batur & Elephant Safari Park. 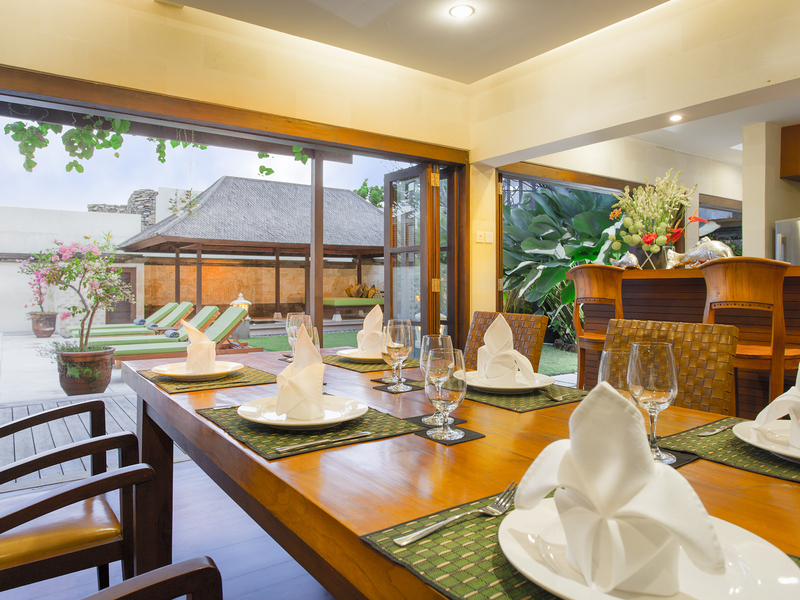 The food in the villa is the best you can eat in Bali. Truly unforgettable 2 weeks. Thank you so much for all the staff at Bayu Gita for making so many memories and looking after us all so well. Thank you all so much and hope to return in the very near future. Thank you Made, Wayan, Ayun, Ayu, Ogek, Gede and fabulous team for taking such good care of us. We couldn't have asked for more personal service. See you again. Thank you to all staff for a wonderful holiday. The food was great and eating outdoor added to the holiday feeling. We loved the food, the staff and everything about the villa. A special thanks to you all for making Danish's birthday so special. I think she enjoyed her day. One of the special things was that everything done with a smile, we loved that. Thank you for the amazing hospitality, such a beautiful villa with really warm friendly staff. Thank you and best wishes to everyone at Bayu Gita Residence. From the moment we arrived it was like we were a million miles away from the world. The staff were amazing. Always there if you needed something from a drink or going for a drive to a place we wanted to visit. Excellent service provided by all the staff from the villa. they can helpful any request that we asked for. Great holiday and definitely will recommend my friends to come out for a great vacation. Sukhwant’s 75 Birthday - We had a good time. The service and hospitality was good. The food provided was fabulous. The staff were helpful. Keep up the good job. Big thank you. Villa was just incredibly beautiful. We all had an awesome time and everything was just perfect. All staff very welcoming and kind. We had a wonderful time here. Thank you so much to the kind, friendly and attentive staff. We look forward to stay with you again. I had really good time in this villa. All the service are really nice. It is an unforgettable trip for all of our family members. No matter when we see the manager here, they are always smiling. We are very thankful to be here. This made us had a perfect first impression of Bali. We had a great time at Bayu Gita Villa. Great thank you to the staff and we hope to come back again. We had a wonderful holiday and enjoyed the excellent service. Recreational facilities were great too. See you soon. Love your smiling, warmest service, love this villa. we have a good impression and memory. I’d like to recommend this villa to my friends. Villa is very good, especially for food. Recommend to have dinner in the Villa. Thanks for good service. Thank you Bayu Gita and special thanks to all staff here for an amazing holiday experience. This is our second time staying at the villa and we are hoping to come again next year. Thank you for the beautiful villa and perfect service from all friendly crews. Thank you Bali. Nice Villa, food and service. Thank you for having us here, warmth and friendly staff make us feel alot like home. This place is good for family and friends to get closer together. Thank you and hope to see you soon, we will come back for sure. Thank you for your amazing service. This is such a beautiful villa with great staff. Our whole family truly appreciate the service and each staff here. Everyone felt like home. We would like to come back for another holiday at Bayu Gita Villa. Thank you for a lovely stay at Bayu Gita. 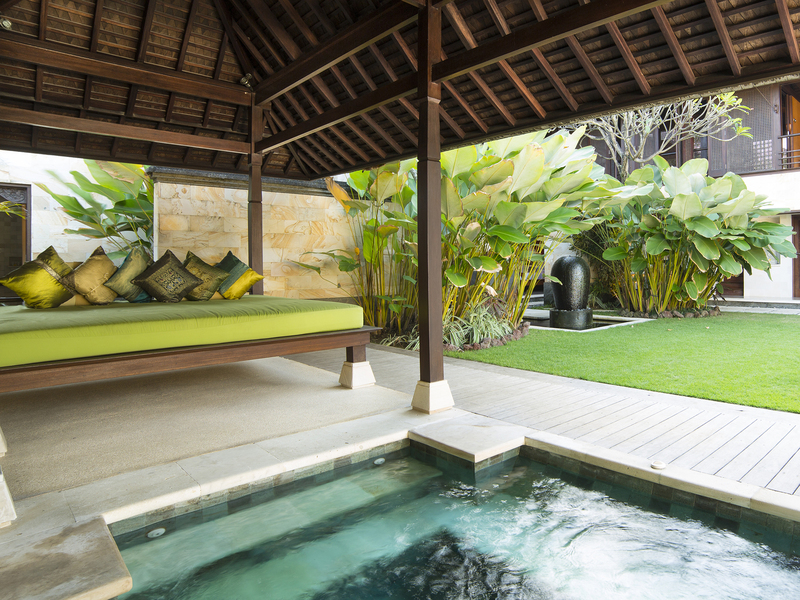 Our stay in Bali would not have been the best without the hospitality of the villa crew. You made us felt at home and have been the best nanny to Lili Grace who loved spending time with you. 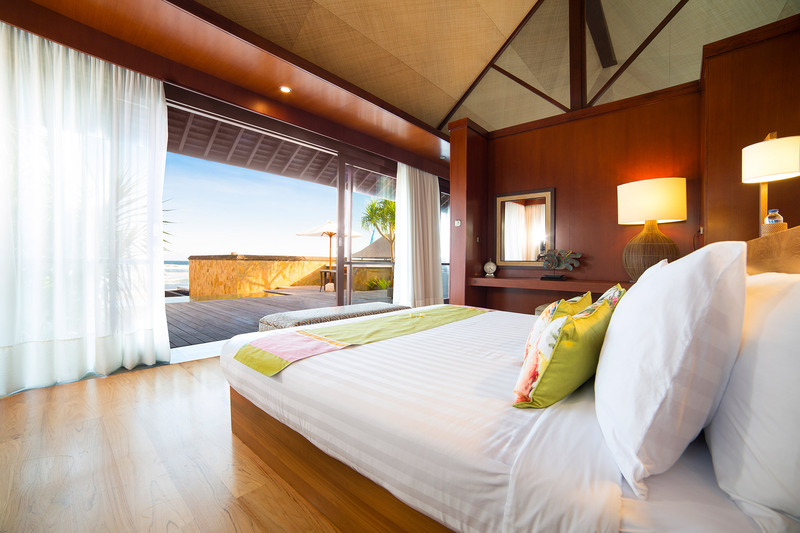 Beautiful villa, it’s perfect and comfortable. The service is very good. Everyone smile, we are feeling good. Best service, thank you! We have wonderful stay here with 4 young children. 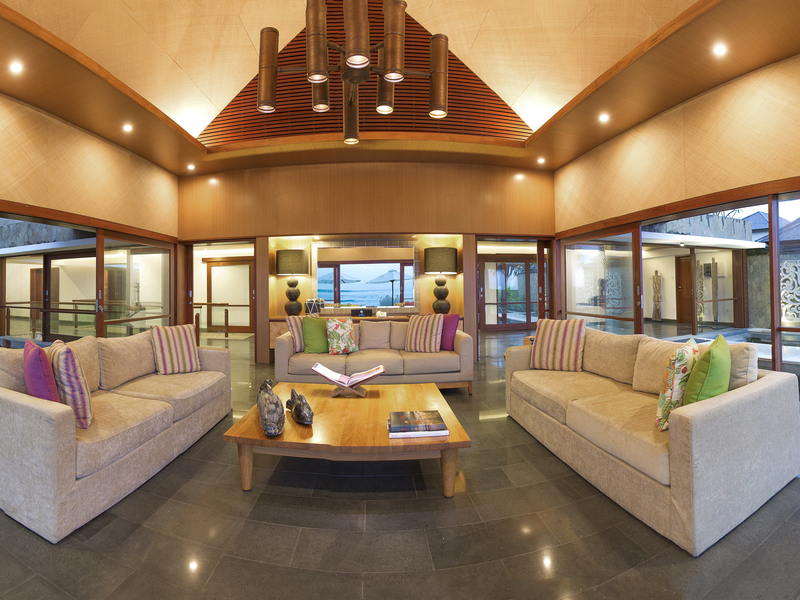 The highlight was the magnificent helpful diligent and kind staff at the Residence. The food prepared for us was also fantastic. We had a very relaxing and enjoyable time here. The villa is beautiful and the view of the sea. Thank you for such a wonderful stay at both Bayu Gita Beachfront & Residence. We have had a fantastic wedding & holiday experience. Every single member of staff has been friendly, professional and amazing. Thank you to the chef who has made every meal. Amazing villa, wonderful view and perfect service from all friendly crews. Thanks for everything, I’ll share this unforgettable experience to my friends. Beautiful villa! Amazing views and brilliant infinity pool. Service was amazing and staff are super friendly. The villa had everything we could want and more. The best part was the attentiveness of the staff. Ayun and Agus especially, made everything so easy for us. No request was too big, thank you for making extra special meals for us. A nice villa with a very beautiful view. everything was exactly the same as the pictures. we were using this villa for our wedding and everything turned awesome. just couldn't be happier to see our guests were satisfied and took lots of pictures at every corner of the villa. just a little problem we had because the villa were very windy, but everything was under control. 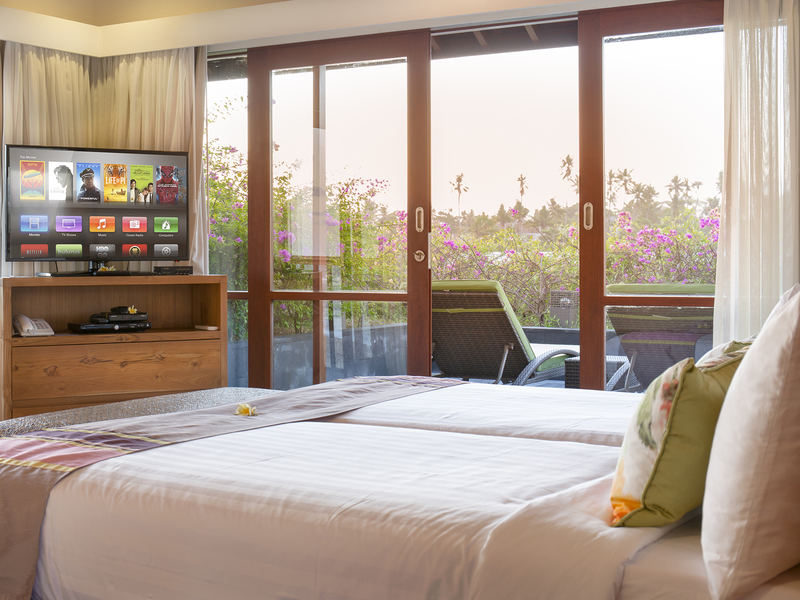 all the rooms are well maintained and clean. the staffs are friendly and helping us a lot. overall, everything was good and would like to return at another time. Gede is the best of the best, together with his helpers have made our holiday. Everyone has been so kind and friendly. Amazing villa, great staff, we had our wedding here. Best backdrop ever. The staff were very helpful and service was wonderful. Amazing location and food was delicious. 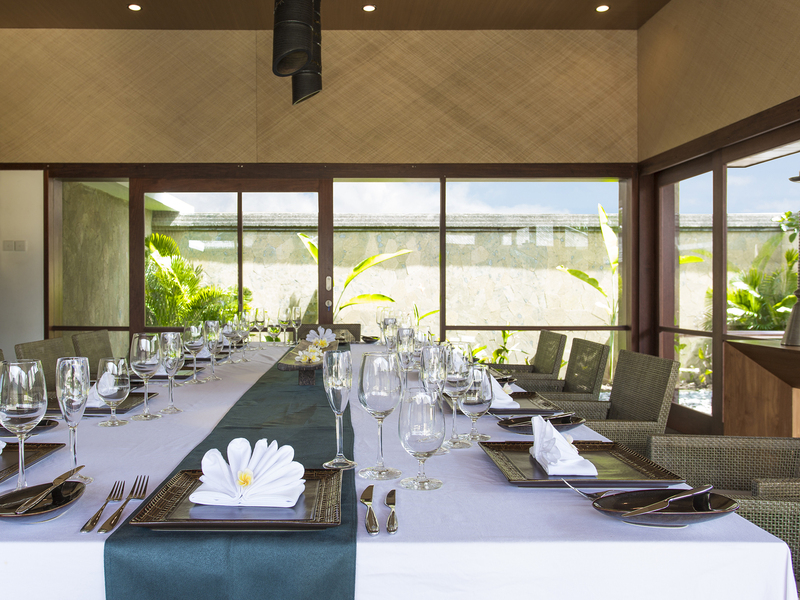 Thank you for an amazing stay, Villa Bayu Gita is a beautiful venue for our wedding and family get-together. 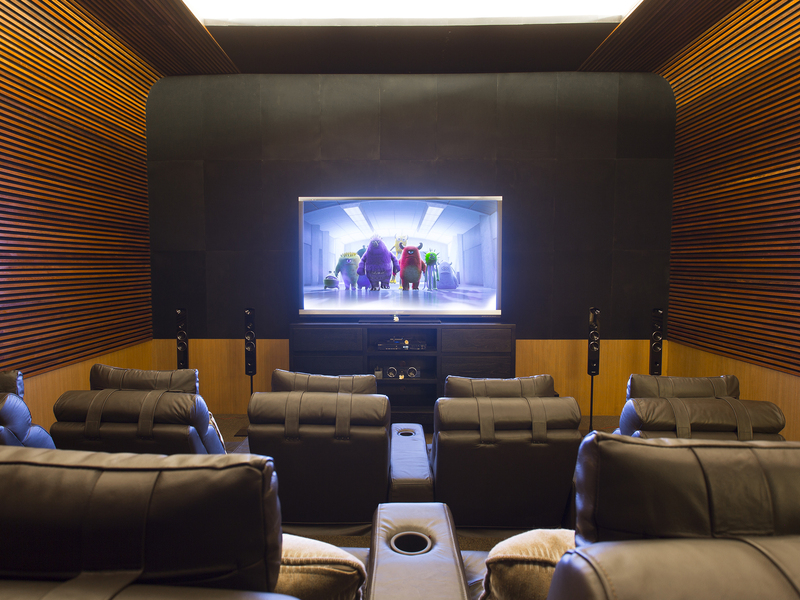 My family, guest and I were amazed and had a lot of fun, using the pool, cinema room and games room. The staff were incredibly polite, considerate and helpful. We will definitely be back soon for another family vacation. Best service in the world. Thank you to everybody for this amazing holidays. Especially Wayan, Ayun & Gede. We will come back here for sure! Thank you! We have the most wonderful time here. Ayun, Wayan, Gede, aris have looked after us brilliantly. Our driver Gede was so helpful – guiding us throught markets and giving us great tips. Thank you so much for all, this has been a wonderful holiday. 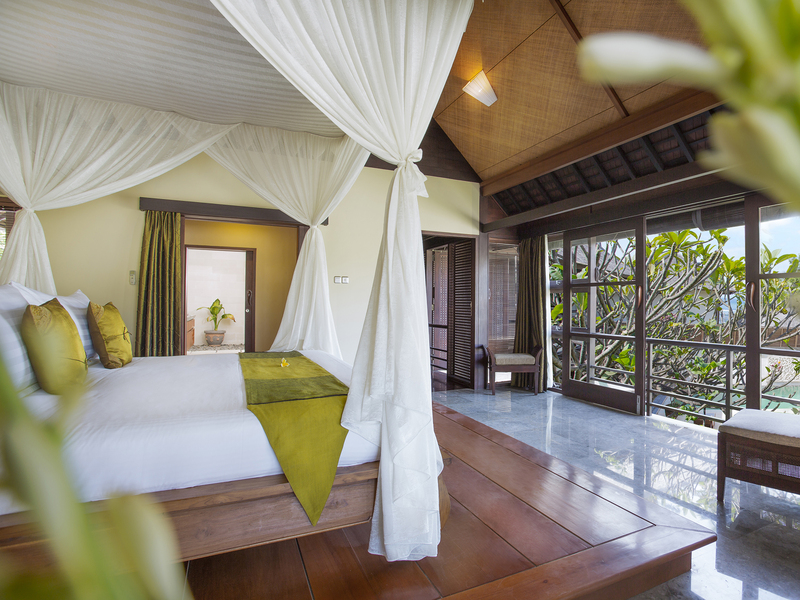 We stayed 5 days at the Bayu Gita Villas to celebrate our wedding. Everything was perfect: the pool, staff, food, service and villa. A special thanks to Made for the organisation, to Wayan for his delicious mojitos, to Ayun for her smile and care, to Gede for sense of humor who made everyone laugh, to the chef who cooked tasty meals every day and finally to the entire staff who made our stay more comfortable and magical. We can’t know how to express our feelings for these 3 days. This is real un-believeable trip and memoriable experience. If possible, i think we should back here again to enjoy the sunshine. It is so sweet time, we will never forget the every second here. We have a lovely time, thanks so much to the kind and attentive staff, who were so lovely and who keep the premises in such wonderful condition. 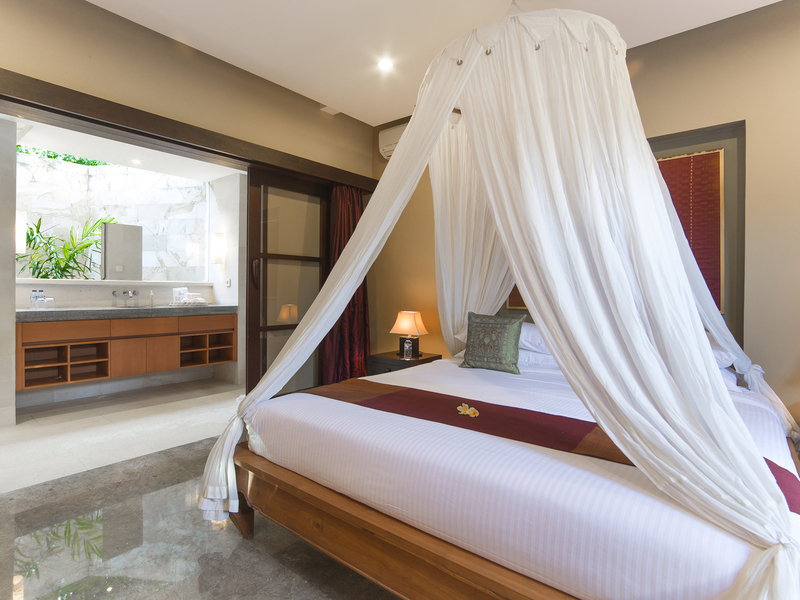 Staying at Bayu Gita Villa is an amazing experience for all of us. 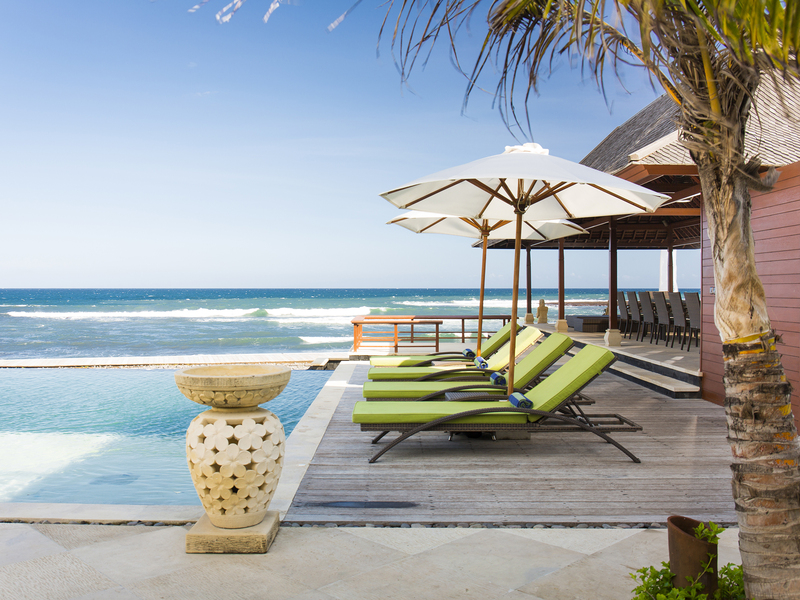 Very relax time with beautiful sea and swimming pools. Thank you for the good service it was very nice and helpful and the food was good. God bless always!! We are realy enjoyed the time to stay here. Beautiful view and pool. Kids are happy to play at the pool, hope to come back again. We stayed at Bayugita for Pauline’s 50th birthday. The villa, food and staff were all amazing. We could not fault any of our meals. Big thanks especially to Wayan, Gede & Ayun for their exceptional service during our stay. We spent a family vacation here at Bayu Gita. We cannot say enough about the stay. Tending to the multi-generations family can be difficult but the accommodations and staff could not have been better for us. 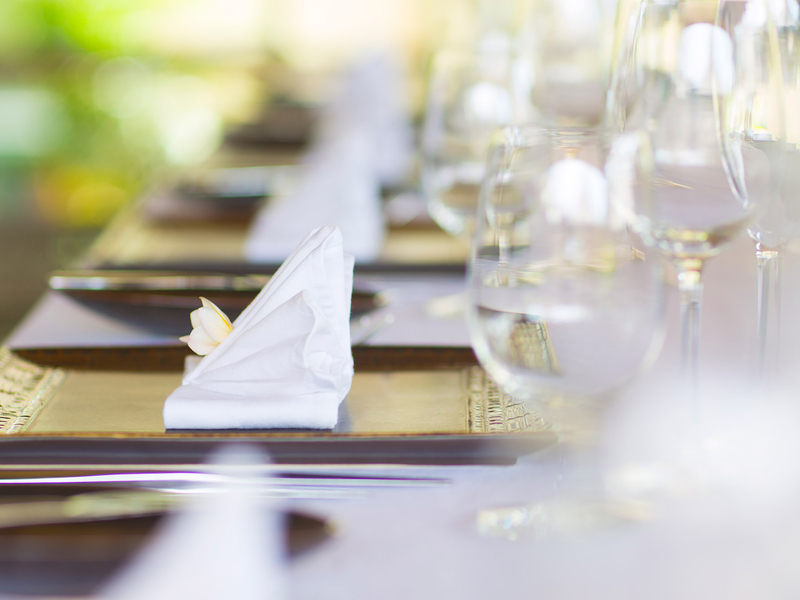 The traditional Balinese food was to die for! Big love and blessing to you. I must say that I just had fantastic and unforgettable stay and holiday here at Bayu Gita Villa. 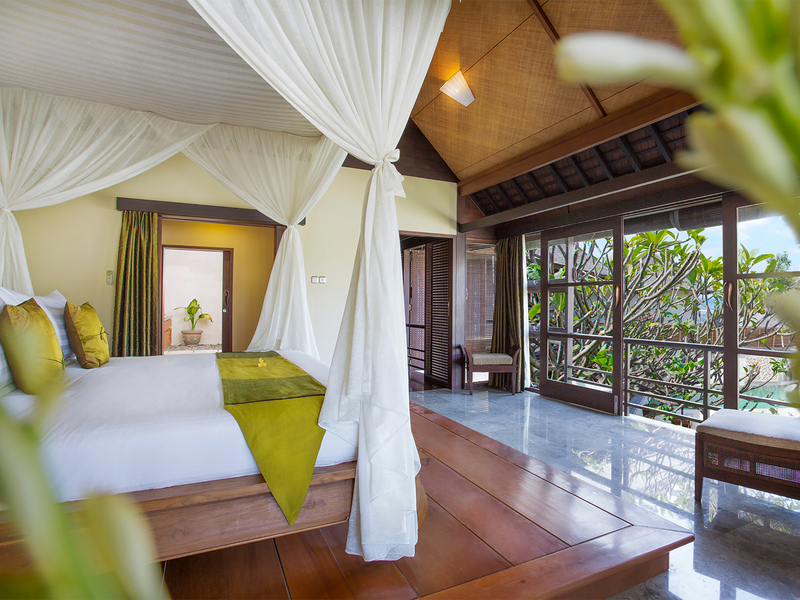 The place, rooms, facilities and the fantastic ocean view was pure delight. Completed the awesome experience was the great staff with attended to our every need with such care, attention and grace – you guys rock! 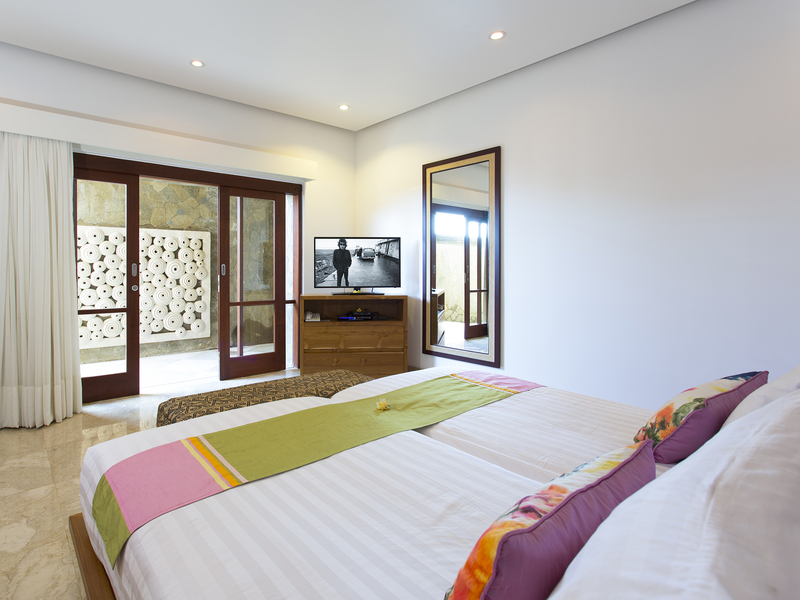 Staying at Bayu Gita is really an amazing experience. A week was not enough and we still want to stay more longer. Two thumbs up and 5 stars for Chef Budi for his excellent food (especially the chocolate fondant.. I’m gonna miss that!). Very big round applause and salut to all the staff here. They are very helpful, friendly and nice. Your hospitality and service during our journey stay here was excellent. We were always greeted with smile. We were here with extended family to attend wedding and you made our stay memorable. We hope to come back again someday. Thank you for a wonderful vacation here at Bayu Gita. 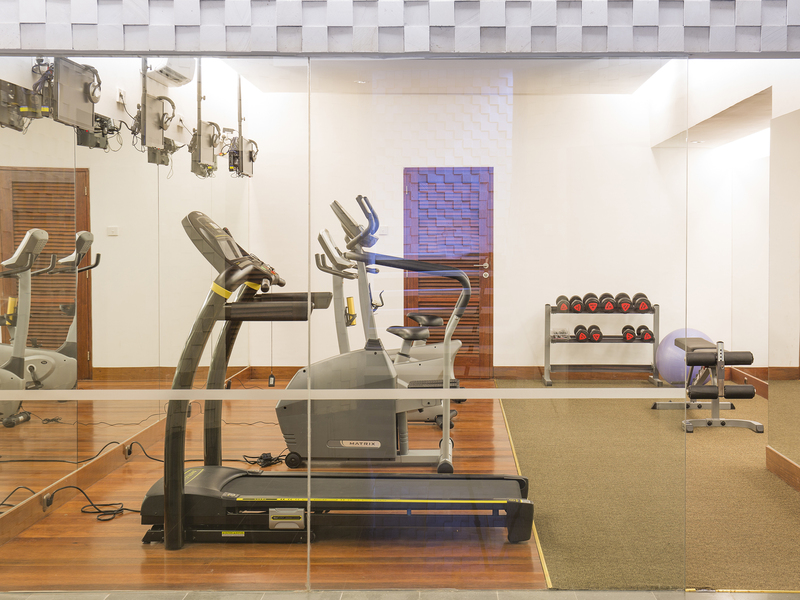 The facilities (Room, pool etc) are everything one could ever have asked for. We loved the peace of returning “Home” after a busy day out and about. The staff here are the most friendly, child-loving, happy & experienced we’ve ever met. 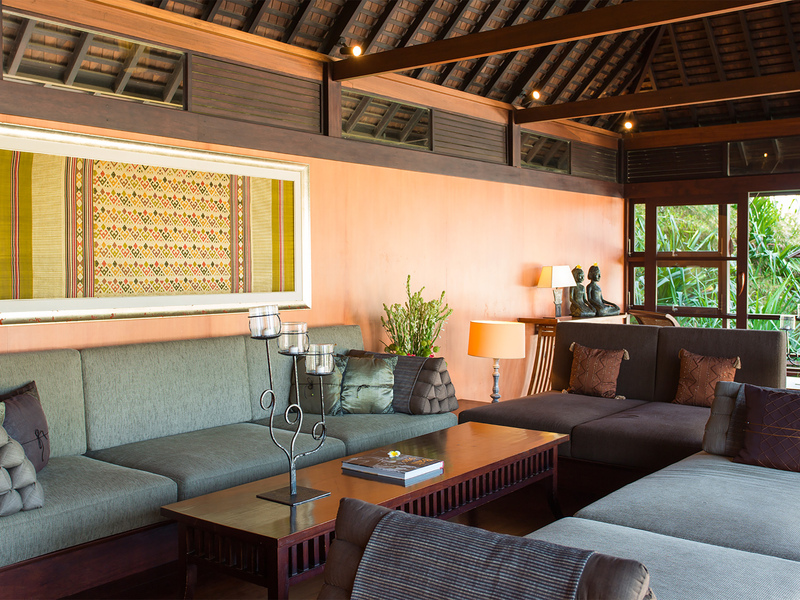 Aris, Wayan, Gede, Ayun, Ratni & Rinanti just to name a few and Mr. Made have been exceptional at taking care of us. A big thanks to Budi, our amazing chef & his assistant. Thoroughly enjoyable week, fantastic villa and outstanding staff. Thanks for fantastic time, we all enjoyed the views and the friendly service – great relaxing holiday. A great holiday, thanks to all at Bayu Gita. The villa had the coolest things like the cinema and it has amazing views. Hope to come back soon. 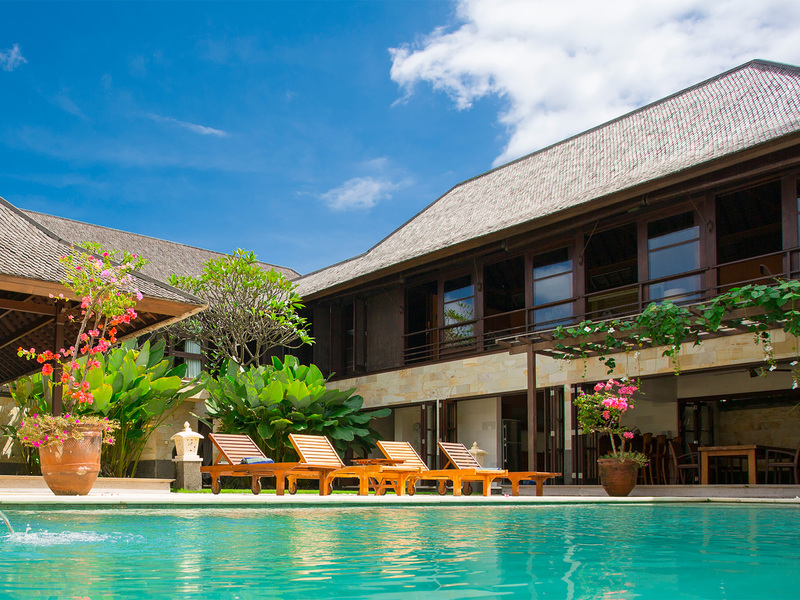 We really enjoyed our stay at this beautiful Villa Bayu Gita. Highly recommended for family and friends get togethers. Sunrise, walking by the beach, beautiful breathtaking sights of waves splashing against the boardwalk, lots of fun swimming and playing in the pool. Special thanks to VM Made, Chef Budi, Gede, Wayan and rest of villa’s team for making us feel at home and welcoming. Thanks for everything - awesome place, people, food and service. Hallo Made, Gede, Aris, Agus, Wayan, Chef and all... Thank you for making Bayu Gita amazing. 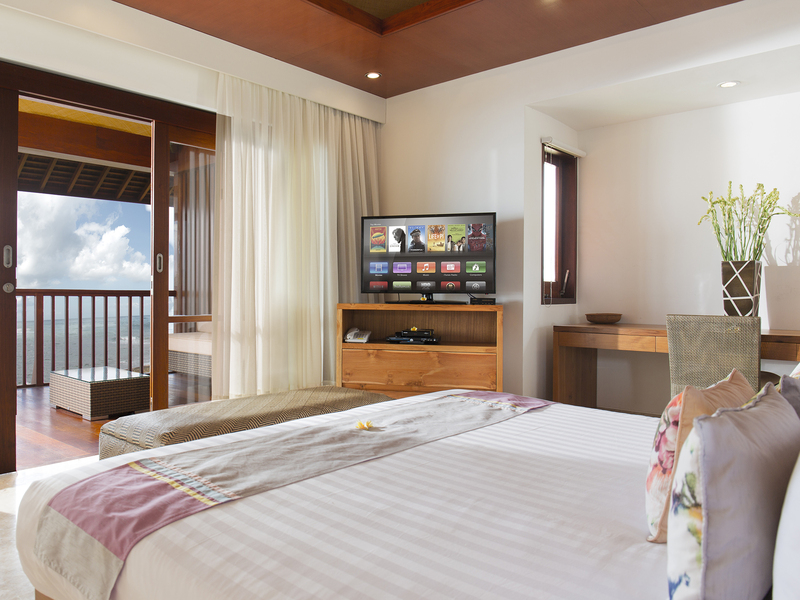 We’re really happy and impressed with our stay at Bayu Gita Villas. 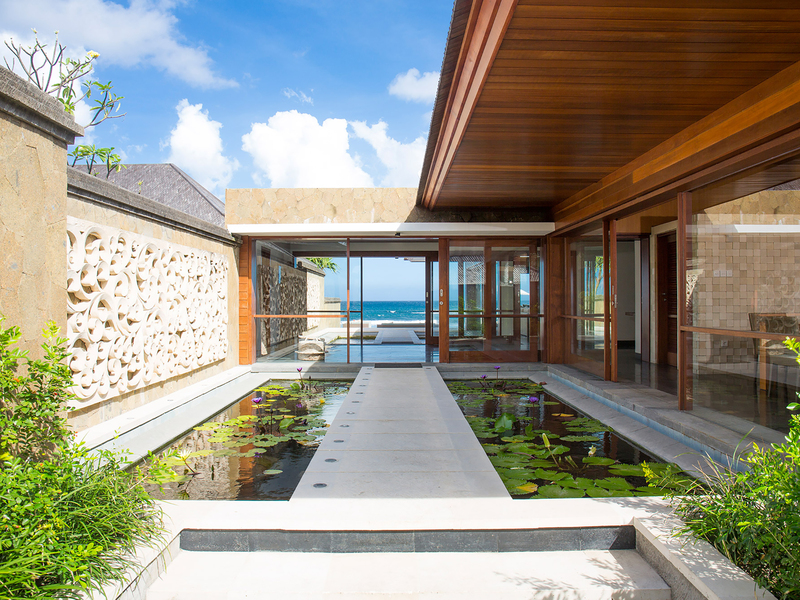 The rooms, beach, pool and gardens are beautiful. My whole family enjoyed our stay and hope to return next time. Keep up the 5 star excellent stewardship. You are wonderful team. God bless always!! Lovely villa , great staff and good food. The villa staff were extremely courteous and ever ready to help. The villa is ideal for families and the staff were happy to play with the children too. 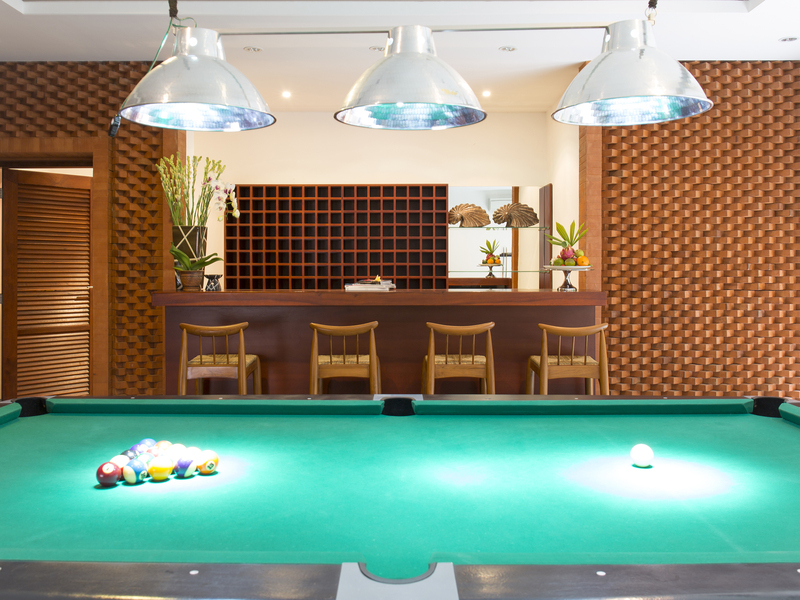 The villa had activities for all ages and is great for just spending time with the family. Though there isn't a beach or activites around the villa, Sanur is just a 15-20 minute drive and it has great places to shop and eat. 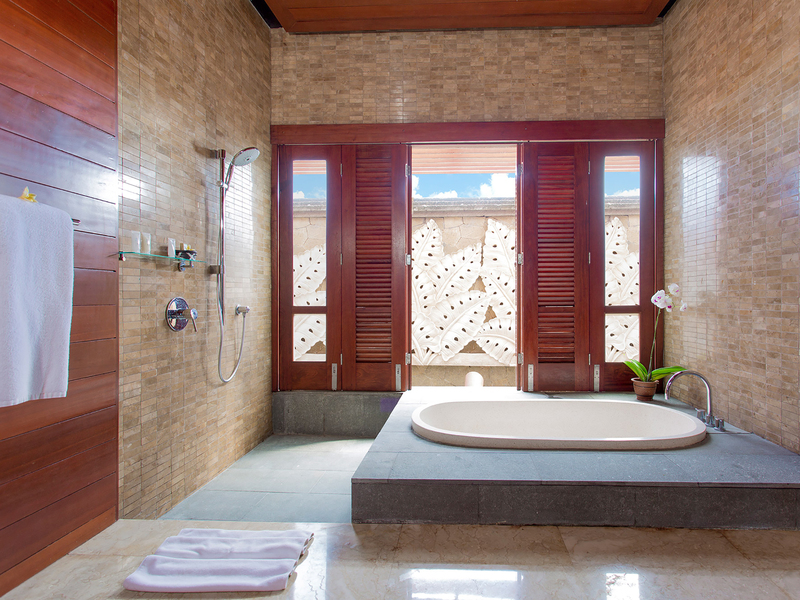 Villa Bayu Gita exceed our expectations by far... The pictures just do not do this place justice, everything here is perfection, the entire villa from the gardens to the pools are immaculate. 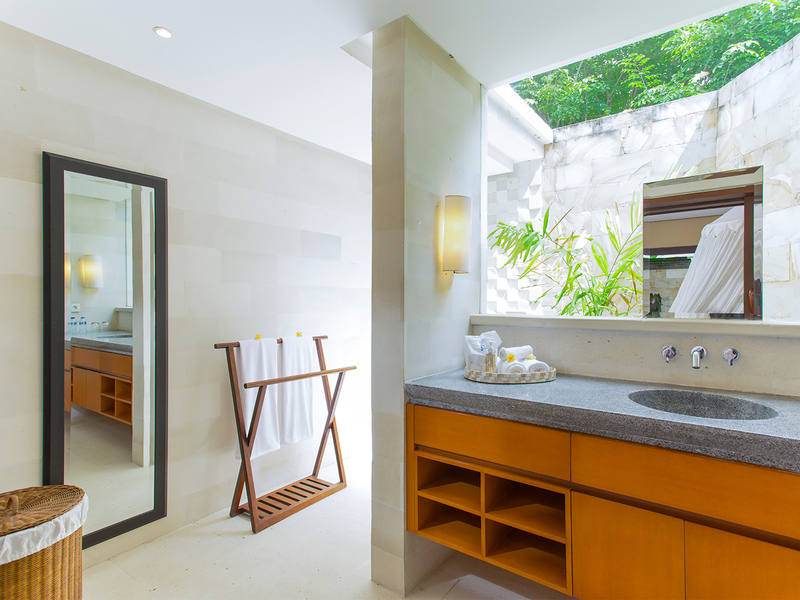 The rooms and the bathrooms are amazing, They are large and spacious and always clean and tidy. The gym/theatre are awesome! The staff here are A++++ they made our stay at Bayu Gita so easy, always available and will do their best to assist you with anything you ask. The chef cooks superb, super tasty and pleased the fussiest of eaters. The view is breath taking, you will never get sick of sitting on your deck chair with a drink in hand. 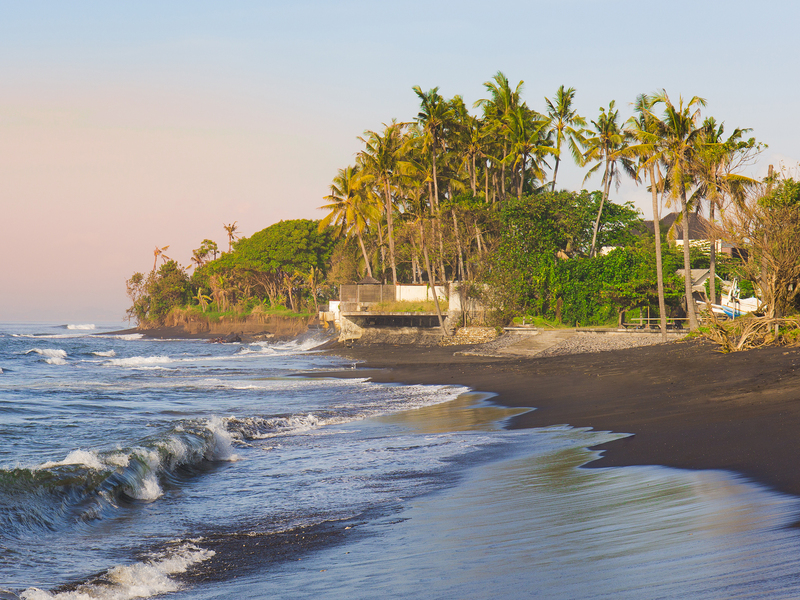 The driver is excellent with his knowledge of Bali and the places to go and see. During our 10 day stay at Bayu Gita, I had organised my wedding here, I did not have to leave the villa for photo opportunity as the villa has so many beautiful features that it truly did make my wedding photos so beautiful. This place is amazing, We will never forget our time here, We all one day hope to return here to see the lovely smiling faces of the staff at Bayu Gita. 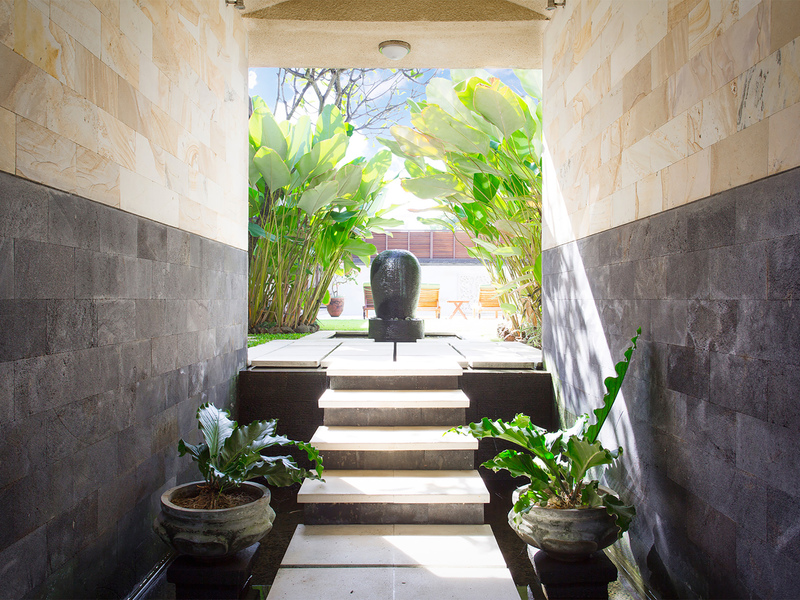 Thank you to all the wonderful staff at Bayu Gita Villa for taking such good care of us. We had a most relaxing and rejuvenating time. The villa is beautiful and provided us with everything we needed. Thank you again for making some great memories with us. How a wonderful place, how a complete service, how lovely people you are. We all have a good time, all kids enjoy here. Wish to be here together again. 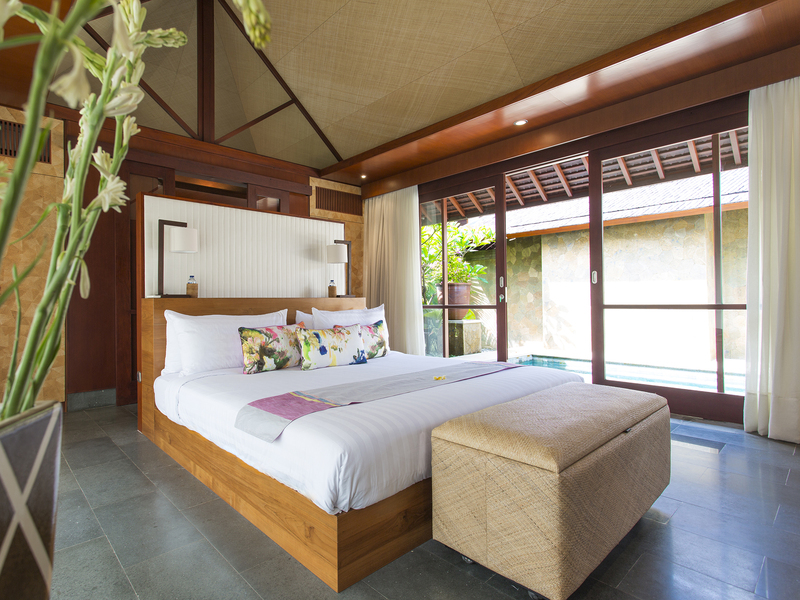 Where do we start, what an absolutely amazing stay we had here at Bayu Gita Villa. not only is the villa itself spectacular, the staff can never do enough for us. 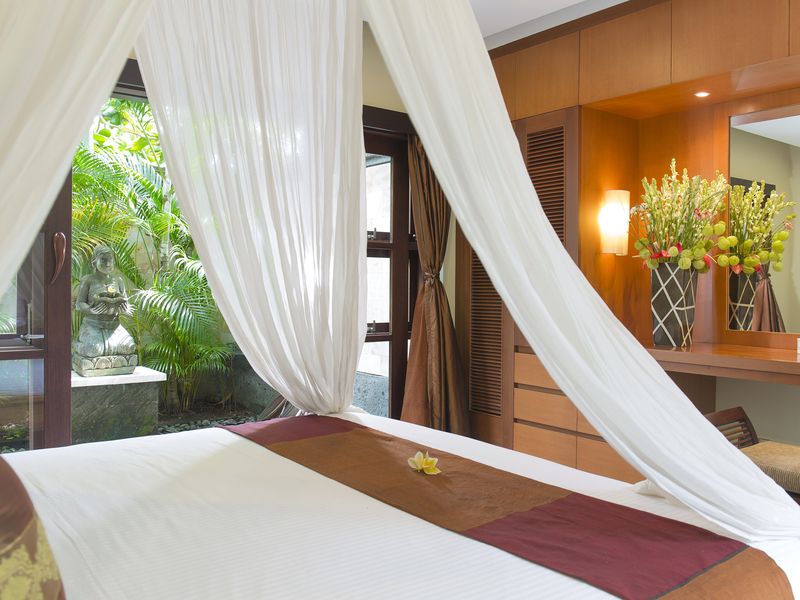 Where do we start, what an absolutely amazing stay we had here at Bayu Gita Villa. not only is the villa itself spectacular, the staff can never do enough for us. Gede & Ayun were beyond amazing, learning 24 names in a period of 24 hours, helping out with everything, playing with the children and constantly on their feet to make our stay as relaxing as possible. 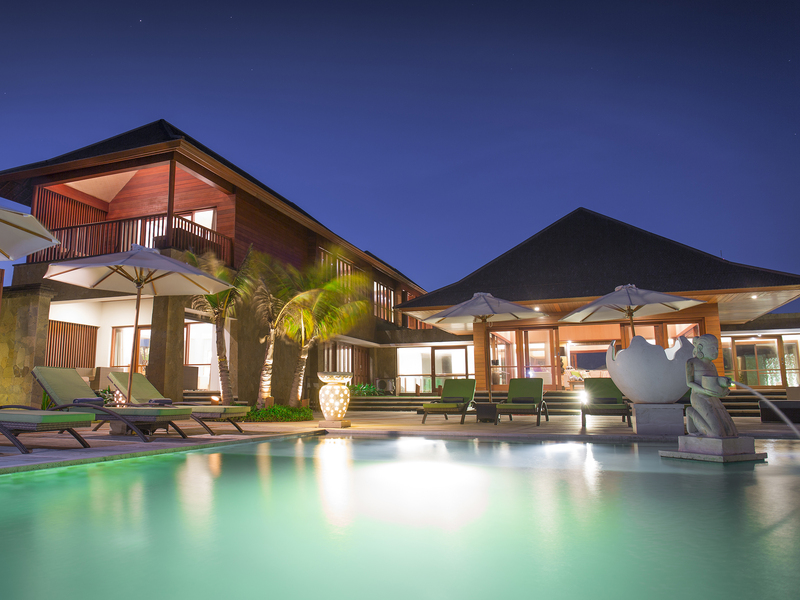 There aren’t enough words to describe the immense awe we all have for this villa. The incredible staff staff, and the memorizing views are just a few reasons why this place is so amazing. Thank you for everything. Hope to see you again! We had a dream-holiday together with all our children and grandchildren !! We had everything there to make it a success. 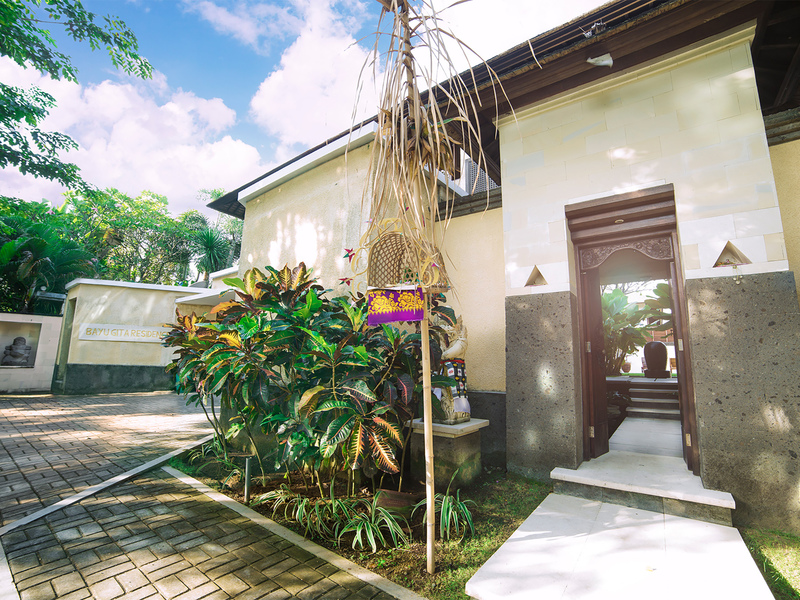 The villa was more then beautiful, the staff very helpful and friendly, they chef cooked everything you wanted,so we had a wonderful time in Villa Bayu Gita. It was a great place and we hope to come back some day ! 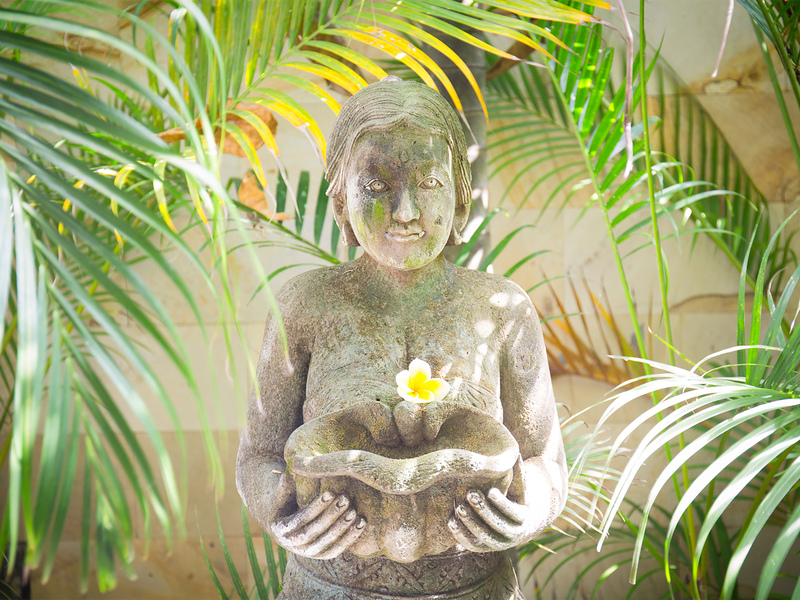 Our heartfelt and deep appreciation to the staff at Bayu Gita Villa who made us feel so welcome and cared for on our first trip to Bali. 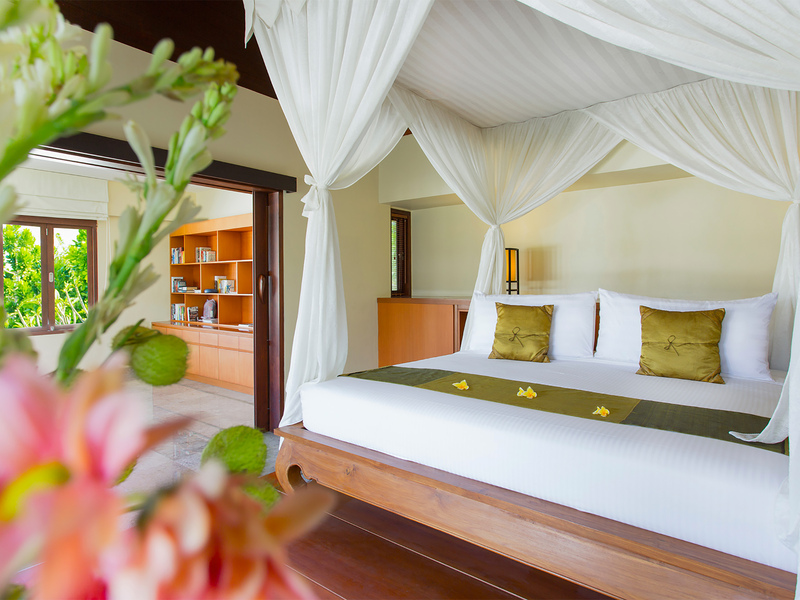 We had marvelous holiday on your beautiful island and the villa was a wonderful haven to come home to relax in each day. Thanks from our children too, who were entertained and cared for us so well by everyone here. Thank you so much to the whole team! Great job! What an amazing venue to celebrate 30th birthday, the staff have all been wonderful providing endless rum & coke, amazing beef rendang and lot of local knowledge on our excursion out. Thank you for paying such care and attention to our group and helping make this holiday of a lifetime. Very sad to be leaving today but maybe we will come back in the future. Everyone was so welcoming, staffs were great. Thank you so much for wonderful stay. Thank you a wonderful stay you guys were great. We really loved stay at Bayu Gita, especially thanks to Ayun whose been taking care of us day and night. Really loved this villa and will recommend to friends and family. Thank you for memorable stay!! Hi Staff of Bayu Gita, Thank you for the wonderful and memory time you have given us during our stays. The villa was beautiful and comfortable with your wonderful contribution of housekeeping, although the villa was already 2 years old but it still in good condition. The Staff knows their job well and happy for all the attention. Food was delicious and presentation was great too. 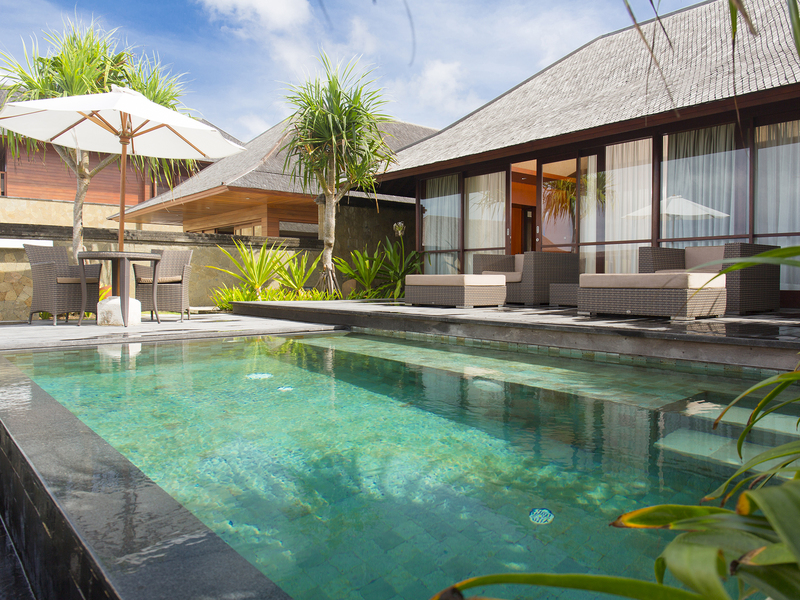 Happy to have chosen your villa for our stays and will be back soon. Thank you....well done! “Woww” ... Such an amazing place from the minute our group of 2 children and 12 Adult walk into Bayu Gita it was awesome. Beautiful people, absolutely faultless. Can’t wait to come back and have more fun times and memories. Hello Bayu Gita people, thanks for looking after us in this beautiful villa. 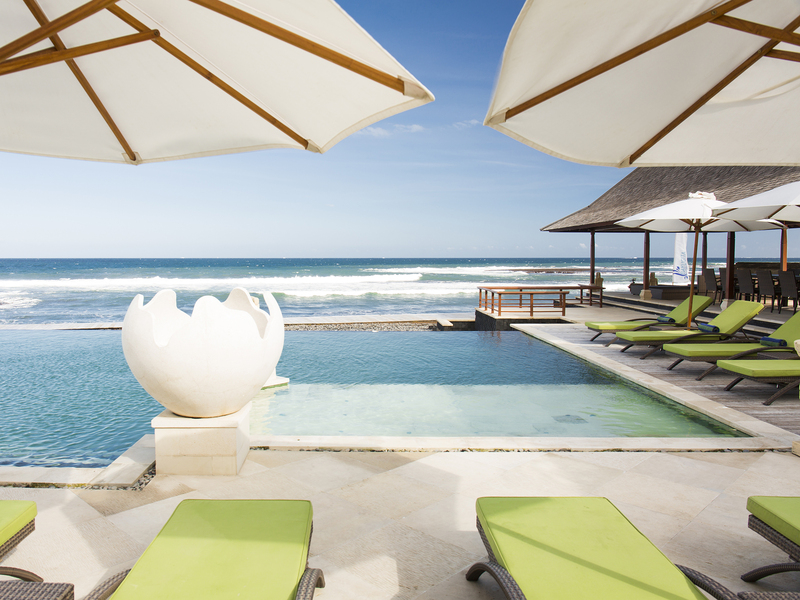 We loved every minute of it and all of our time in beautiful Bali. Terrific staff and incredible food. Bayu Gita is the best. Had three perfect nights with loves ones. Beautiful, friendly and helpful staff in amazing villa. couldn’t asked for more. Unbelievable!! Awesome!! This place will be best place in my life. I love all workers (Gede), I love all foods, I love all place in here, I love Bali. It will be good memory to my family. Thank you. Great ! Awesome ! We are glad to choose Bayu Gita. 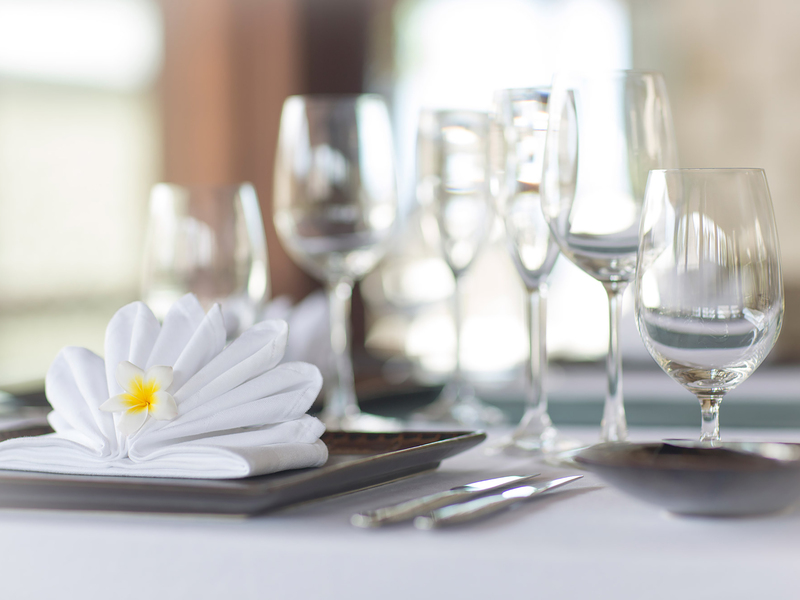 The food is great every meal – thanks Chef Budi. Very nice team and villa, made me feel in home. The staff is very easy to communicate. I like to see the smiling on their face. Happy staff, happy guest. I’ll visit Bali again. This is absolutely fantastic house which could be called home. Everyone is nice, all the service is careful. I really recommend this villa to your families reunion. Wow, what can we say. This villa is absolutely sensational. The staff has been absolutely superb, very courteous and attentive. We have a fantastic time here being with old friends and meeting new friends. We could not have asked to stay at a better place for this wedding weekend. Thank you!! My husband and I decided to bring our families (from both sides) on a holiday and put us all in one villa. And choosing Bayu Gita was the perfect decision. We really enjoyed our stay in the villa. We had so much fun there we really regretted the time we had to leave the villa. First of all, the friendliness and the helpfulness of the staff was excellent. They were always aware and ready everytime we needed assistance. They never hesitate in lending a hand and honest. The food the chef cooked for us is also really good in term of taste and presentation. The rooms are all excellent and well maintained. 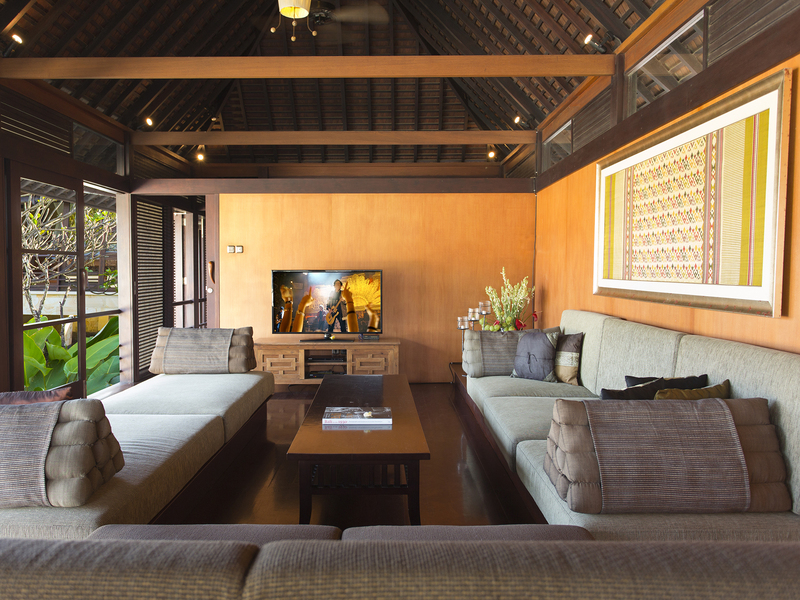 The entertainment rooms served their purpose just right and everyone seems to have their favourite spots in the villa. the pool is clean. 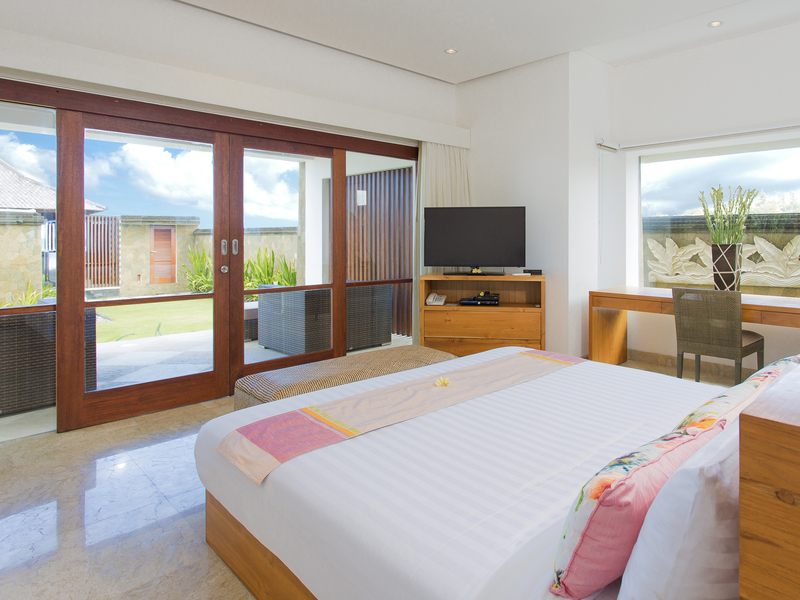 The bedrooms and bathrooms are all well maintained and always kept clean. Overall I really love this place and looking forward for our next visit there.